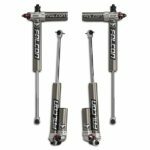 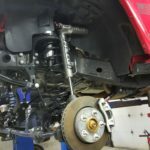 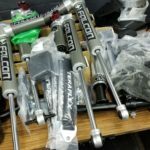 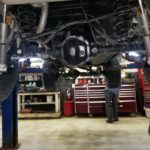 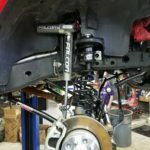 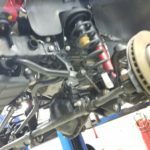 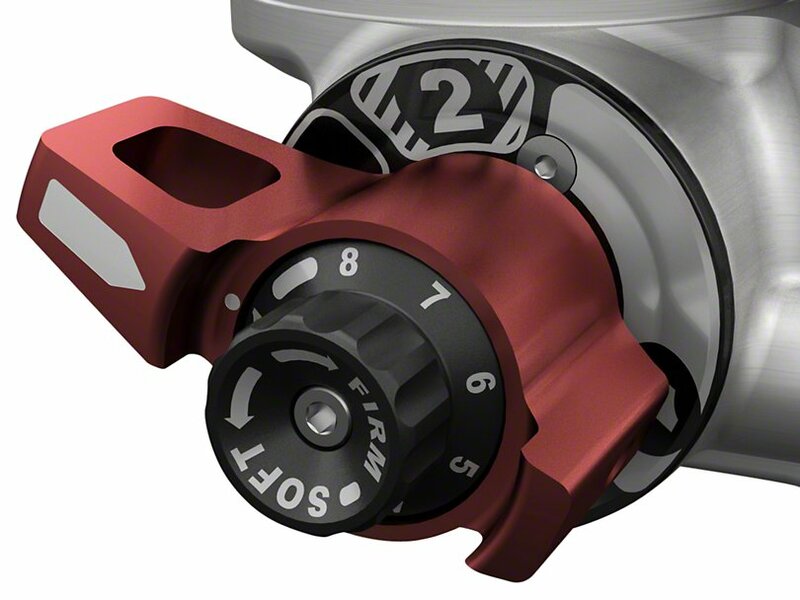 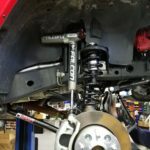 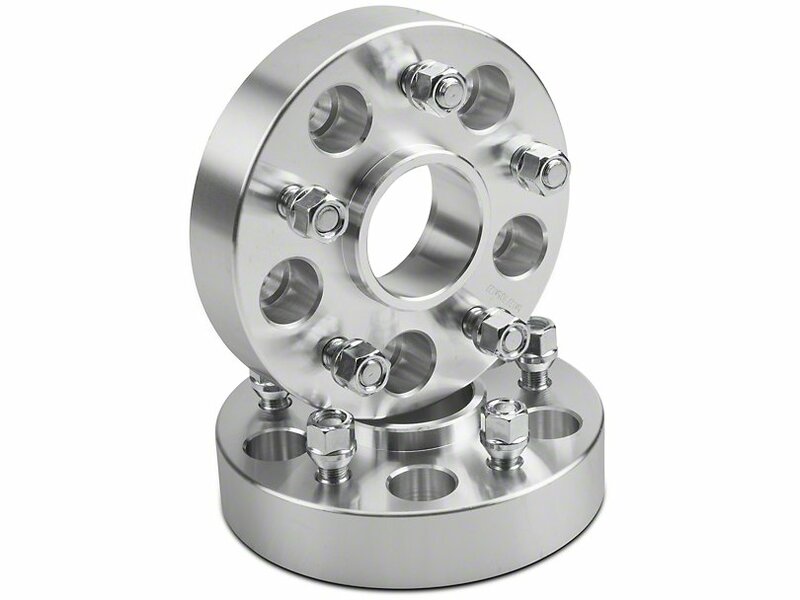 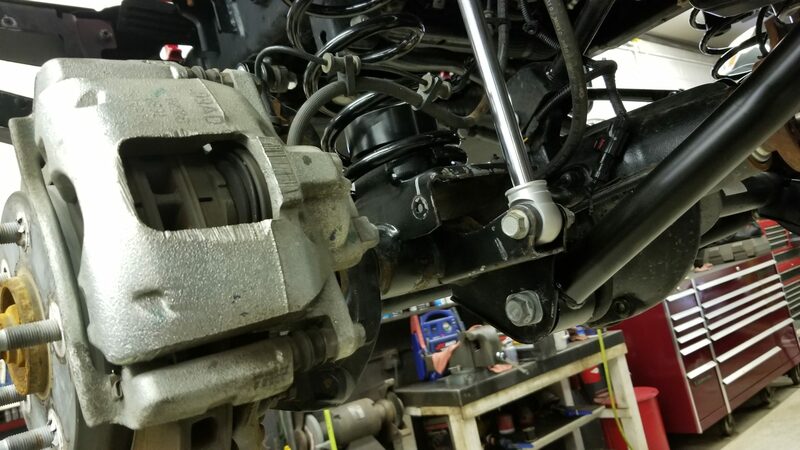 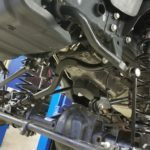 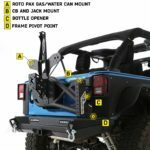 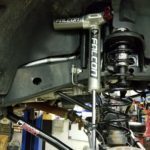 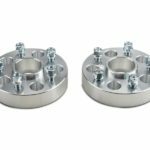 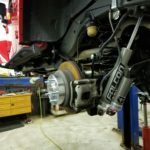 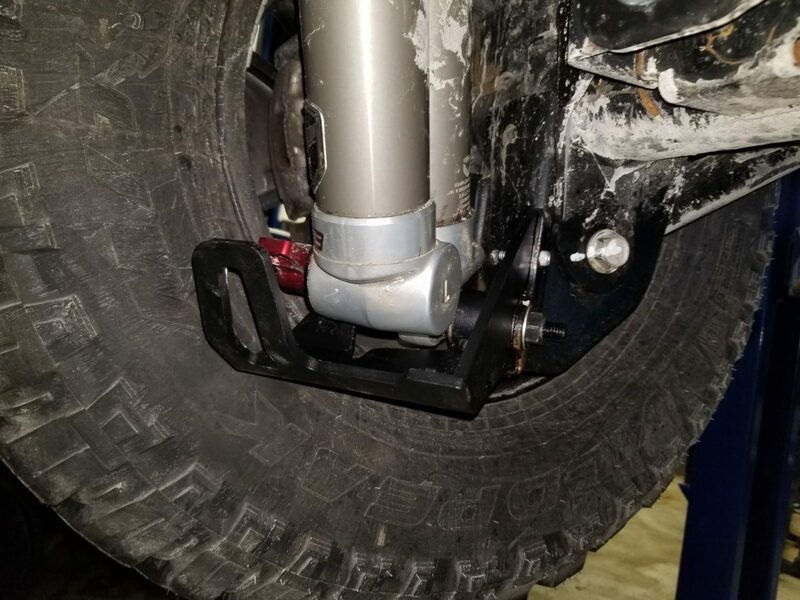 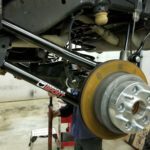 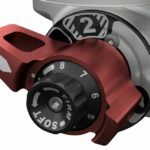 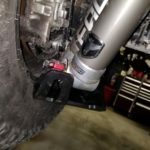 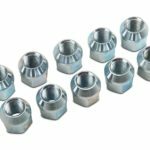 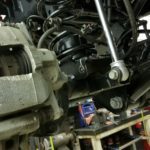 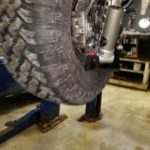 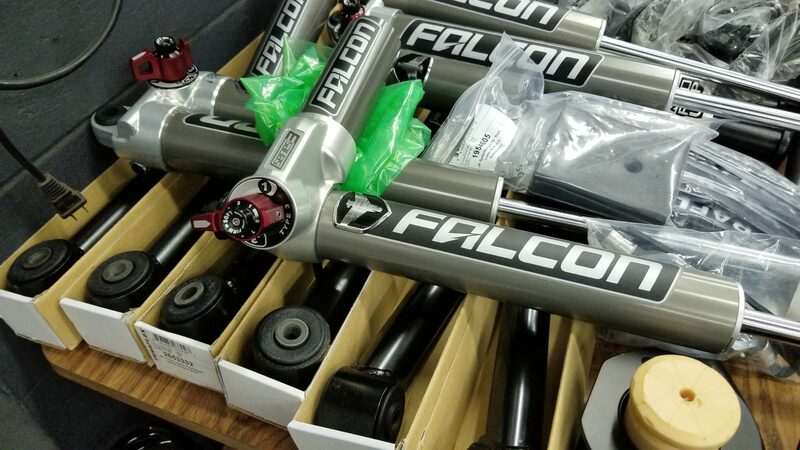 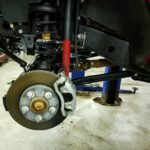 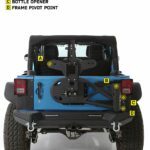 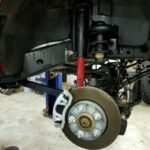 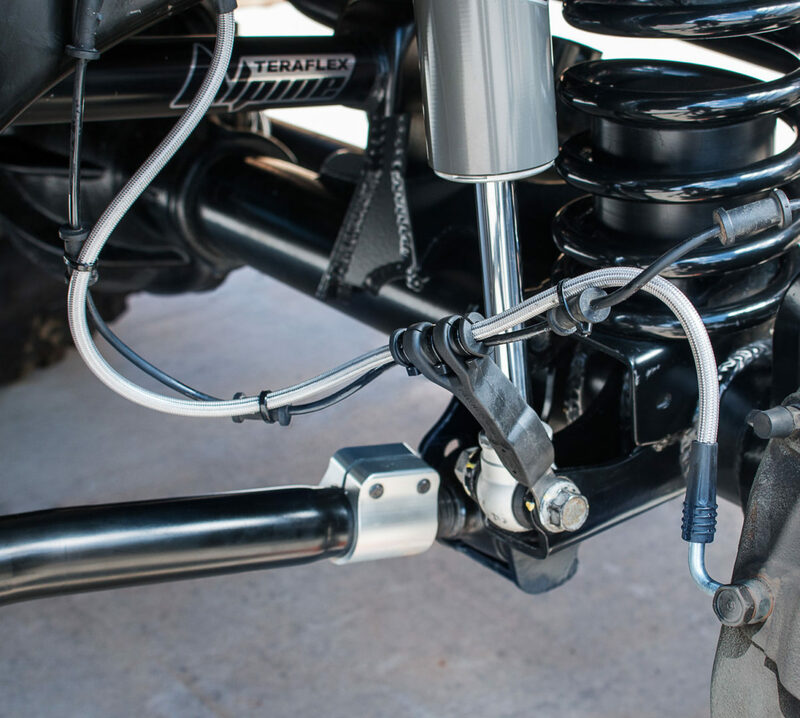 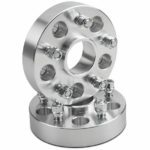 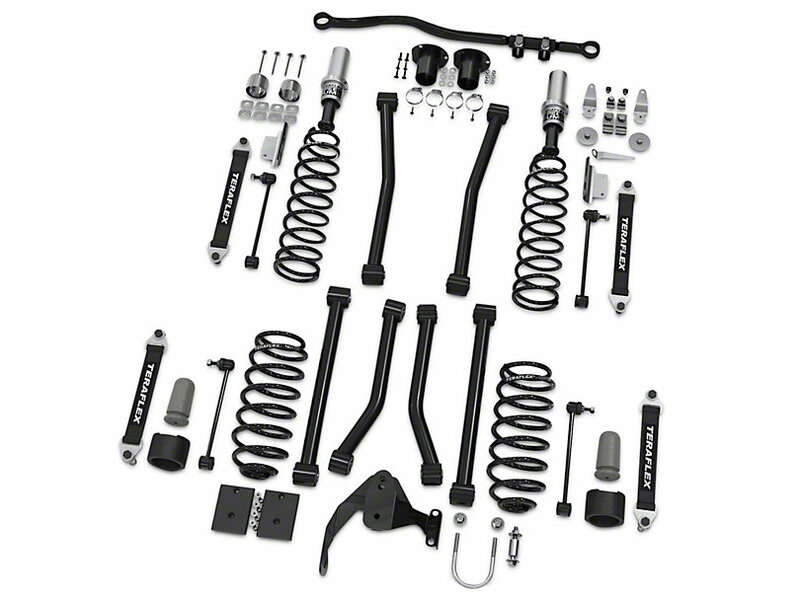 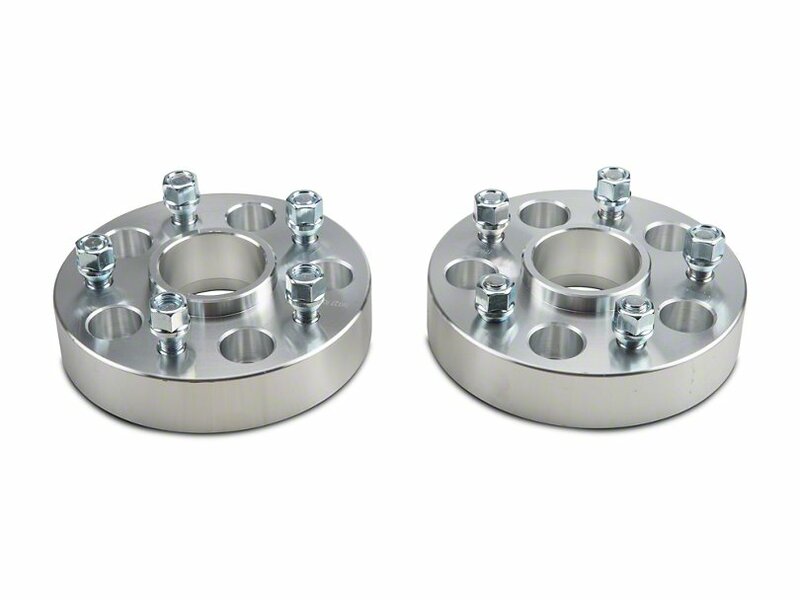 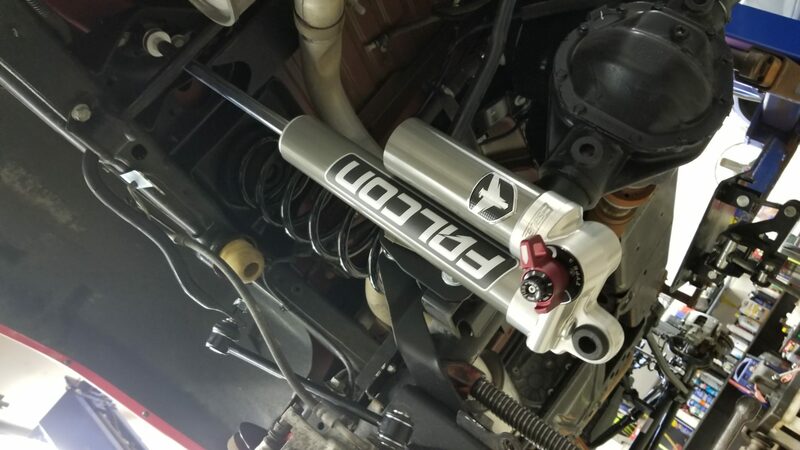 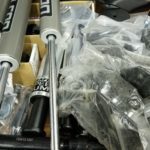 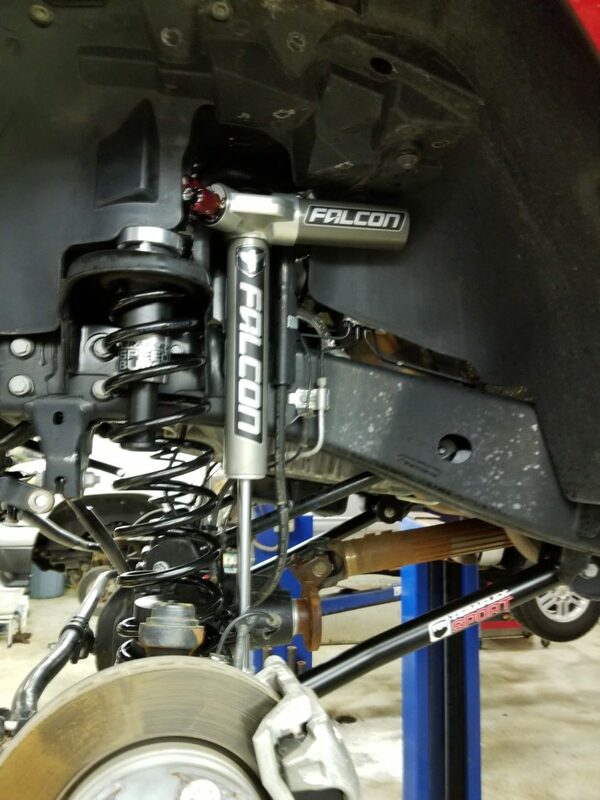 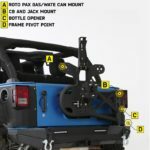 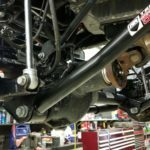 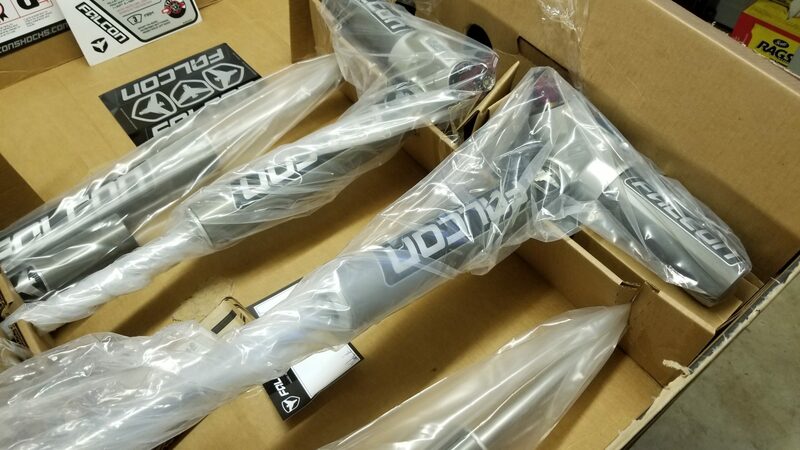 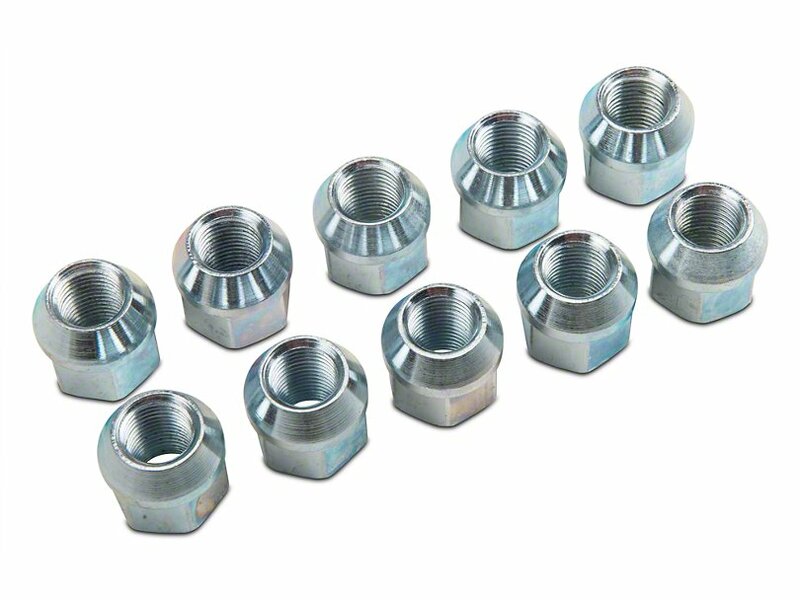 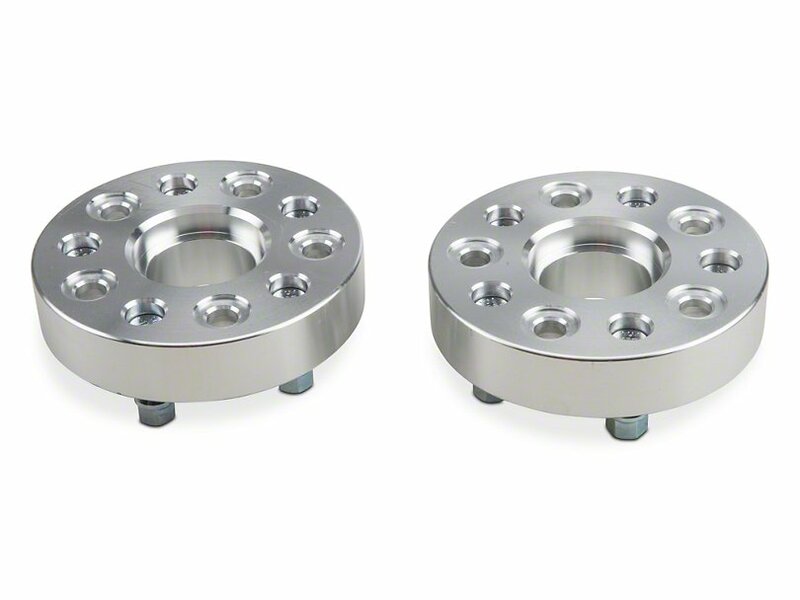 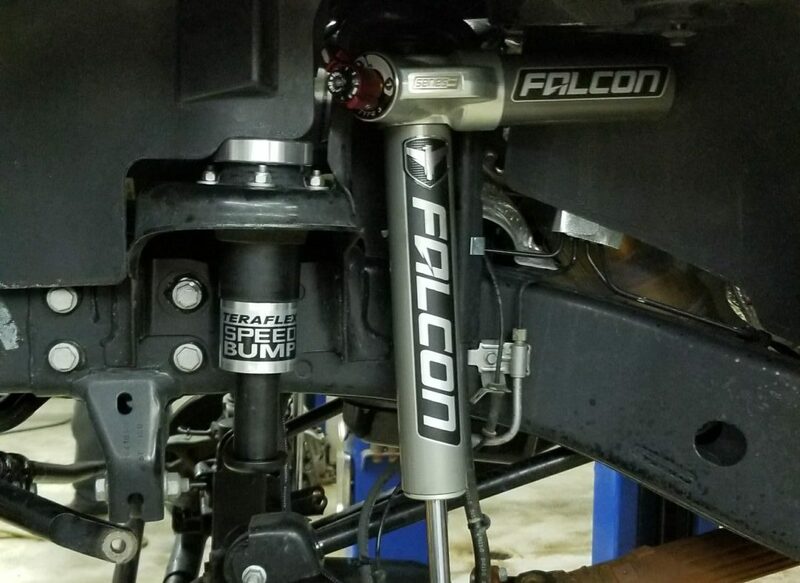 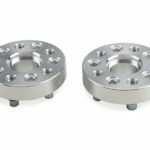 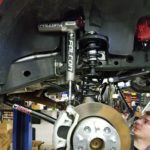 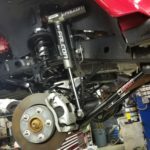 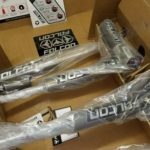 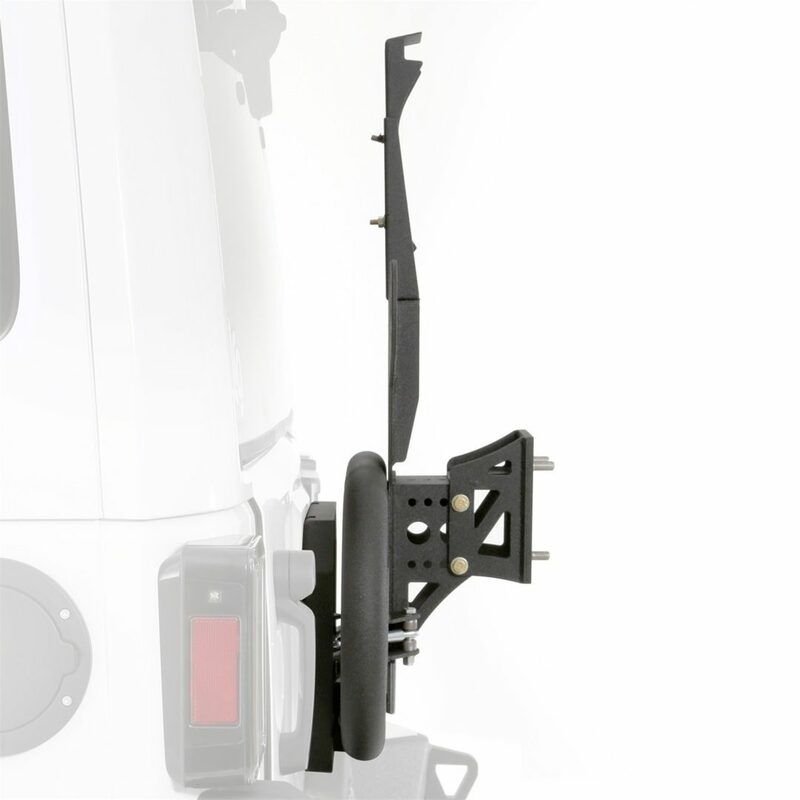 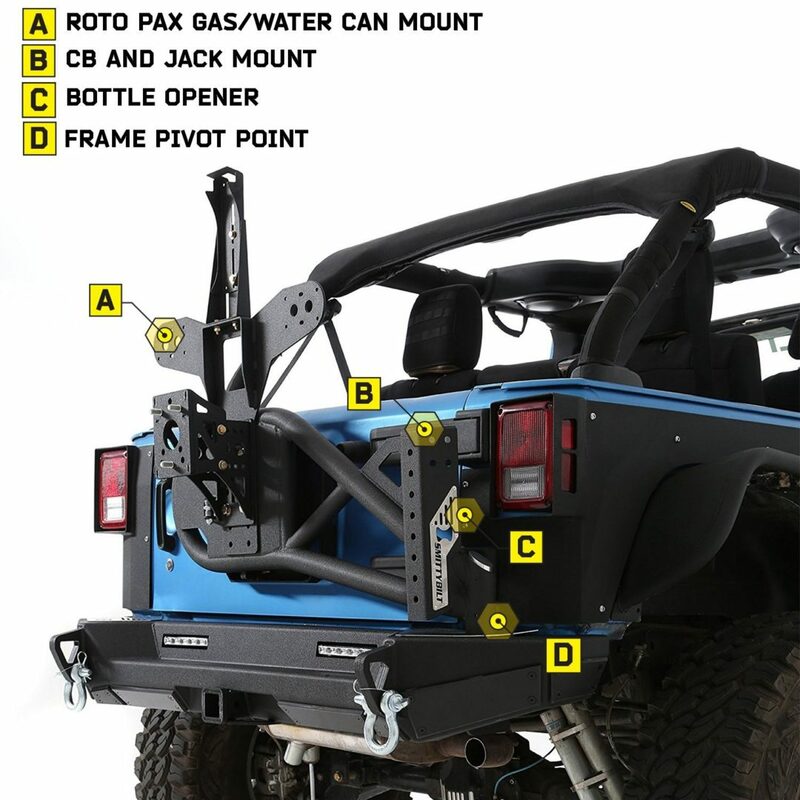 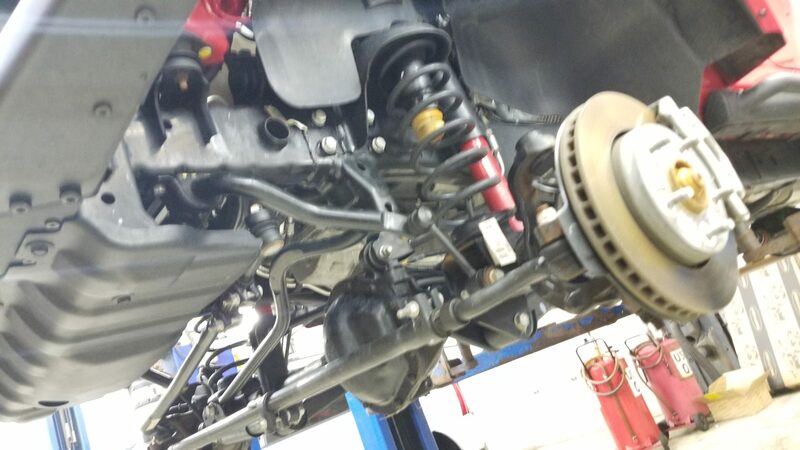 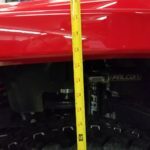 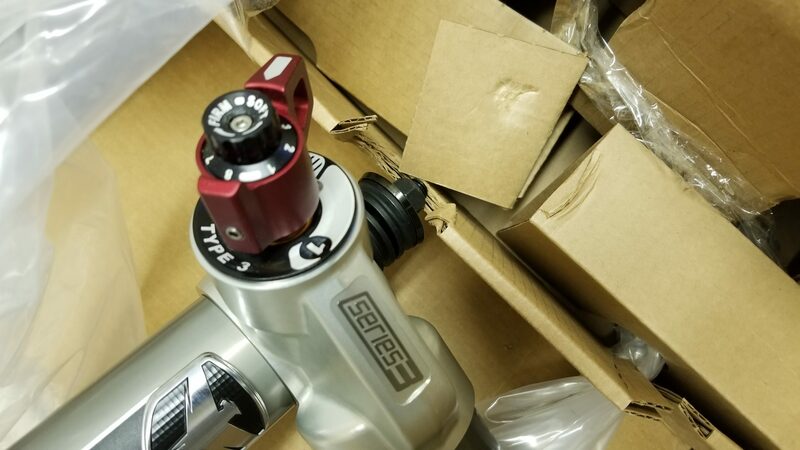 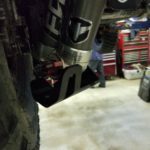 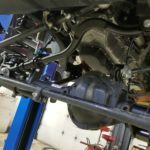 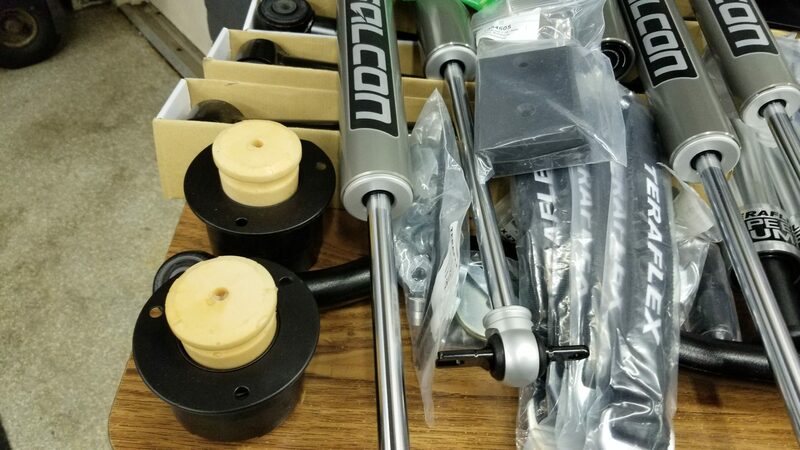 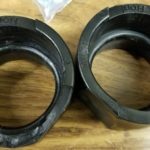 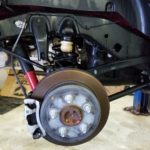 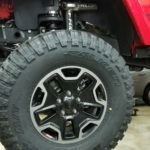 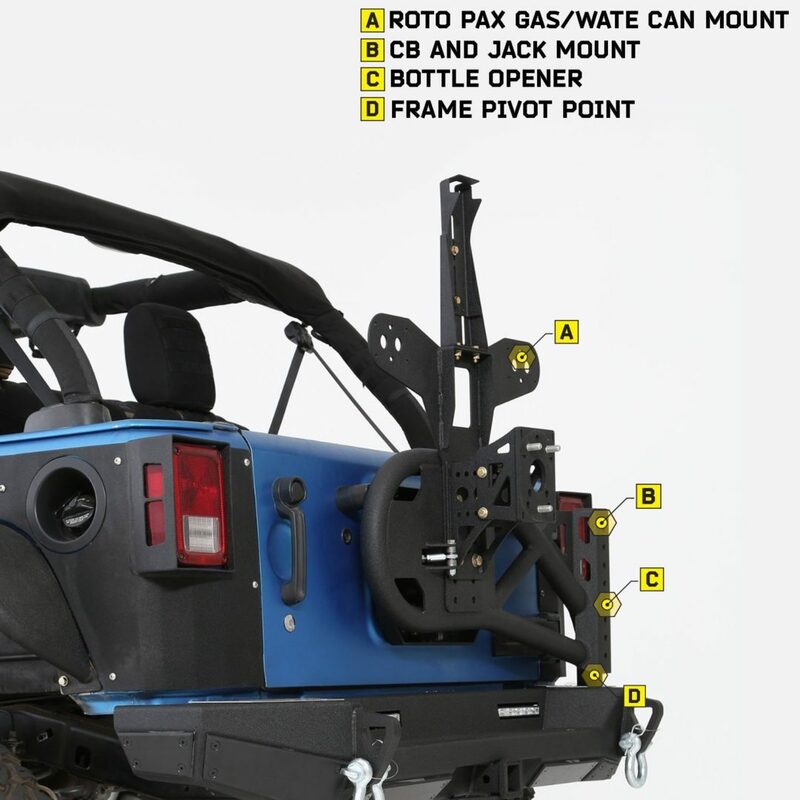 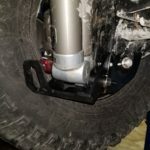 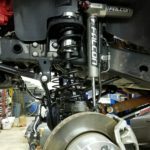 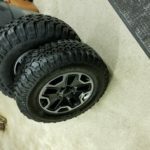 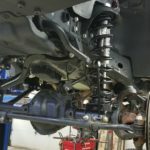 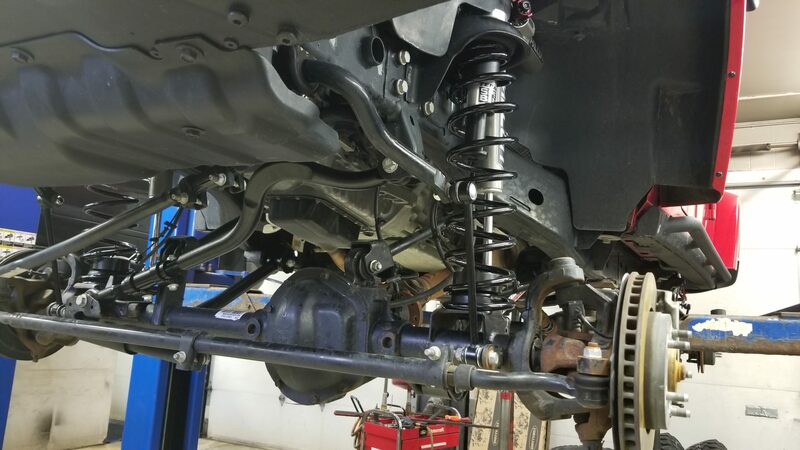 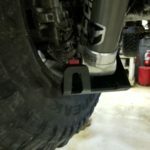 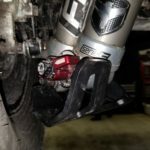 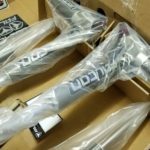 Next Generation Dana 44 Heavy Duty Rear and Front Axles (w/ Dana 44 == 373 gear ratio). 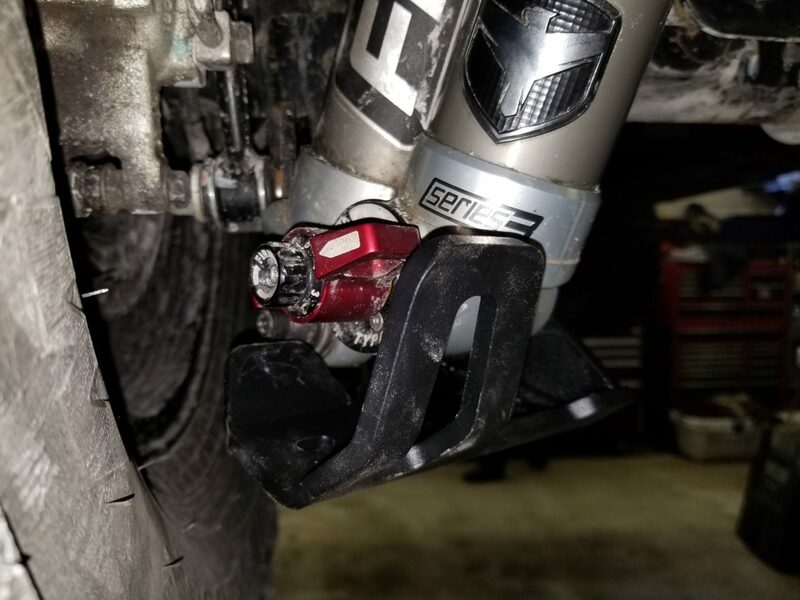 From Extreme Terrain Item #: J104221. 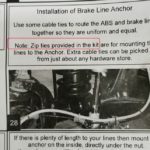 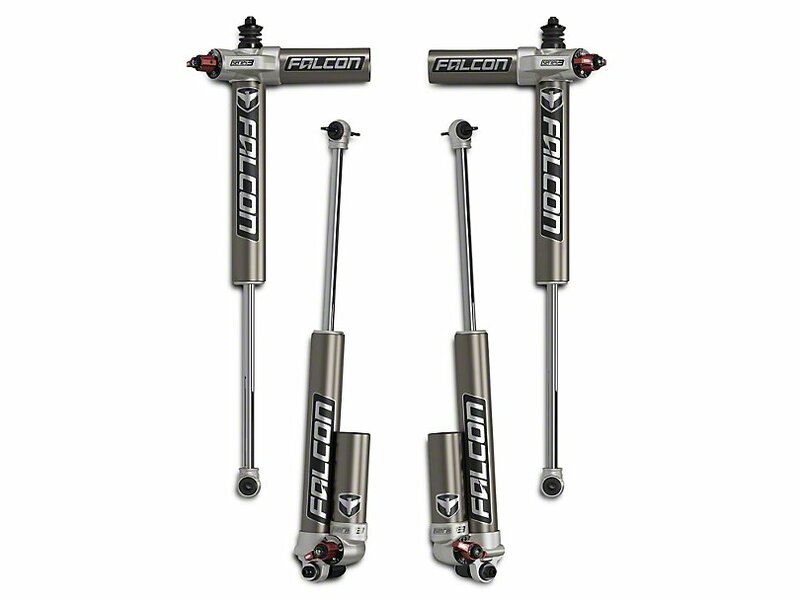 NOTE 1: My kit was missing the “JK Front Brake Liner Anchor Kit“. 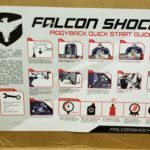 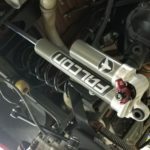 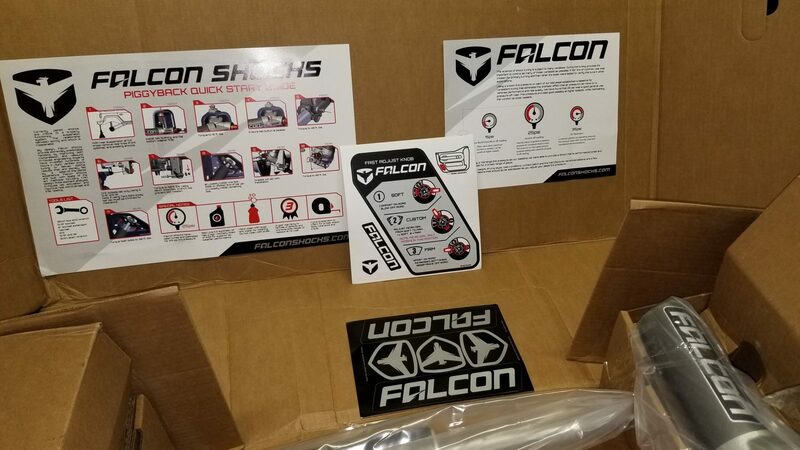 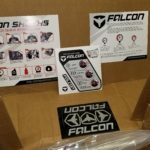 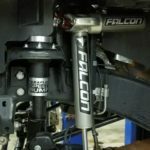 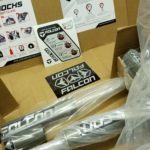 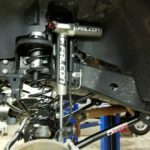 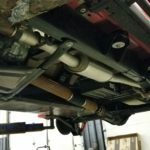 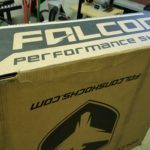 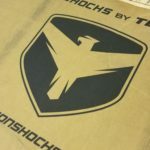 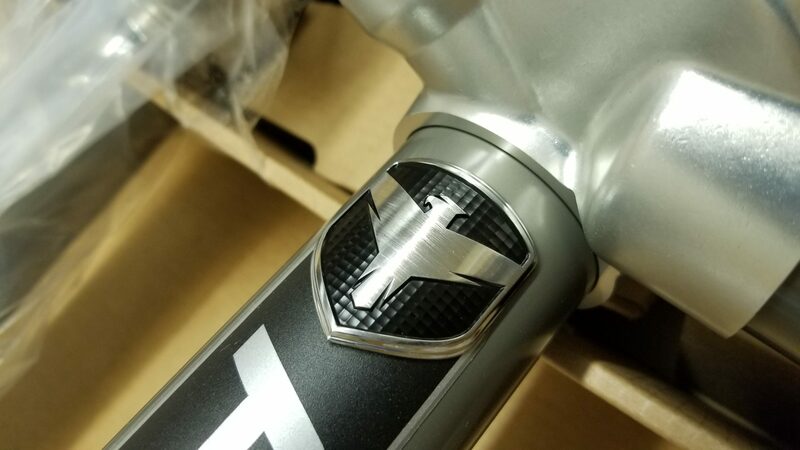 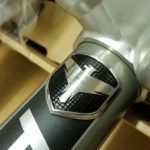 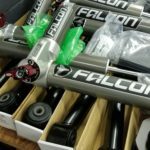 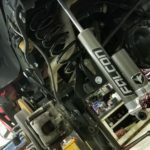 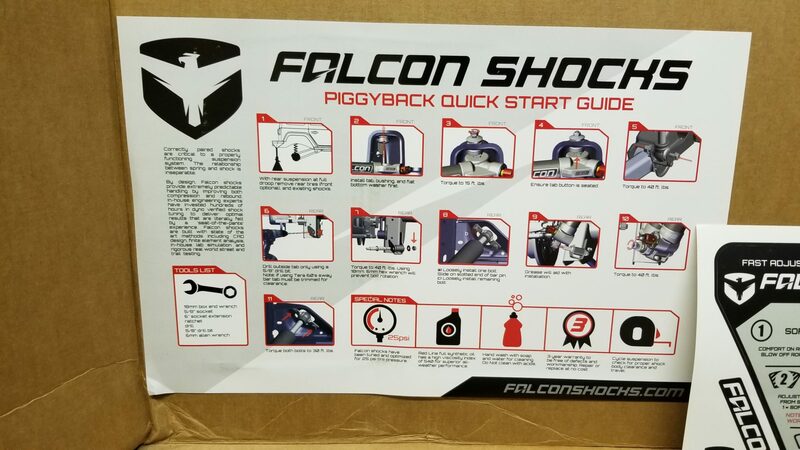 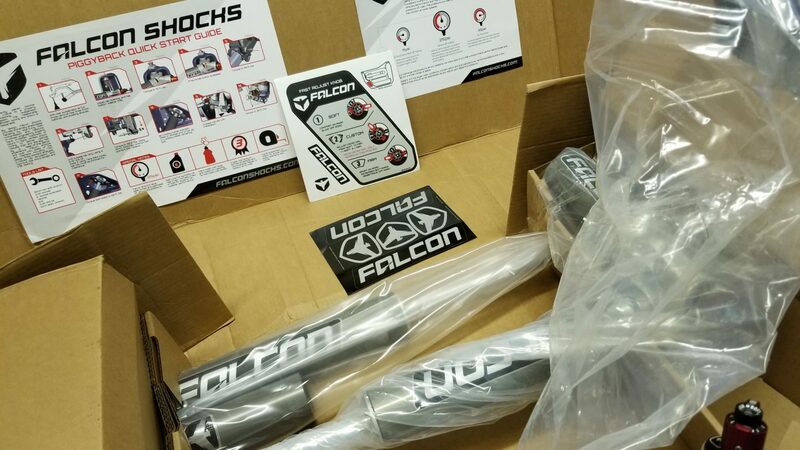 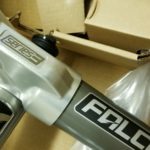 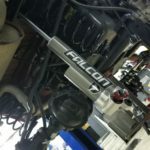 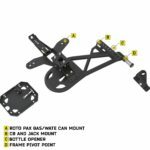 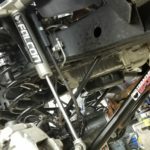 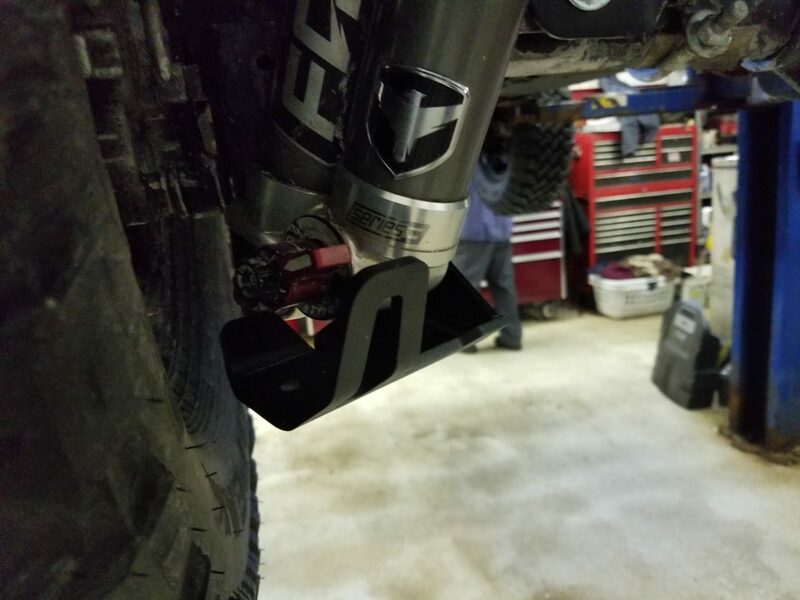 I had called Teraflex right away, spoke to one Jake Peterson; he was super helpful and assured me that he will overnight it to me for the install. 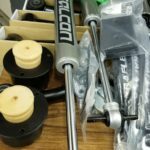 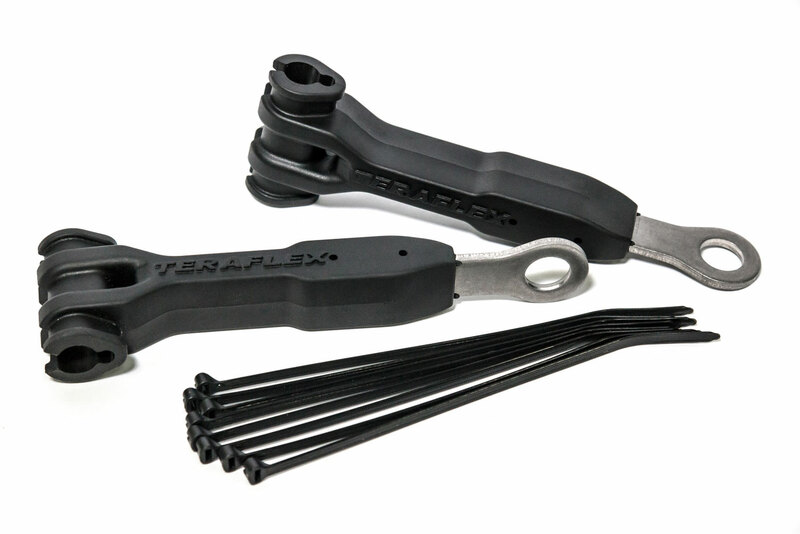 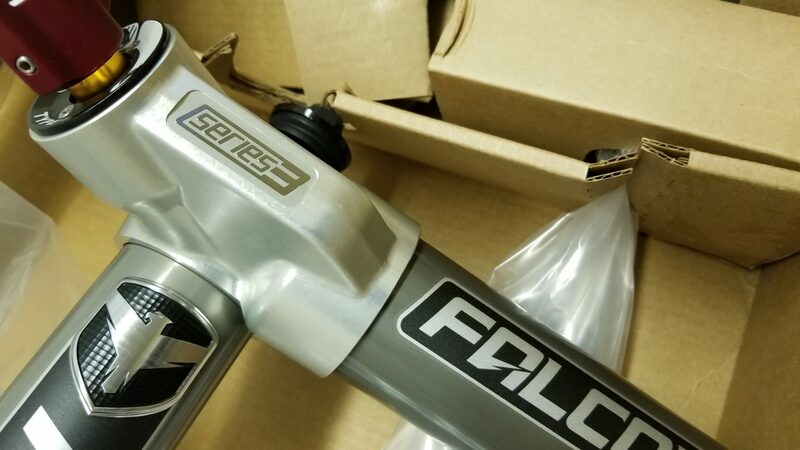 Thanks Jake – Teraflex – you’re awesome. 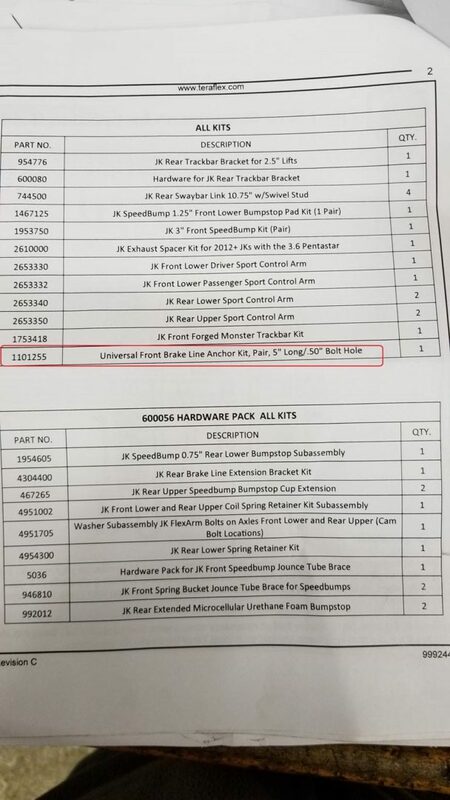 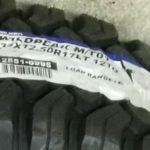 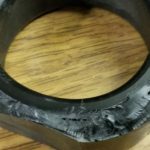 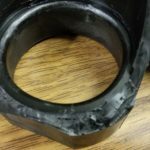 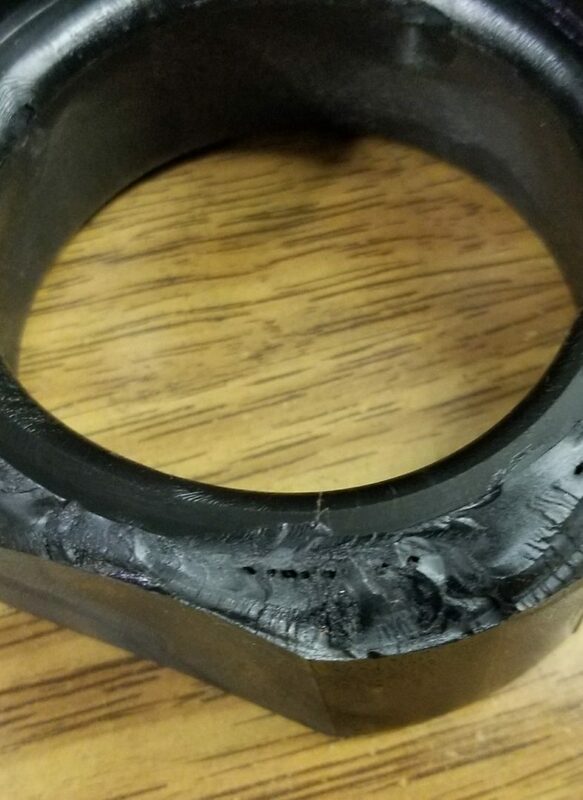 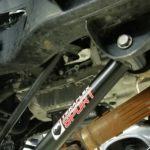 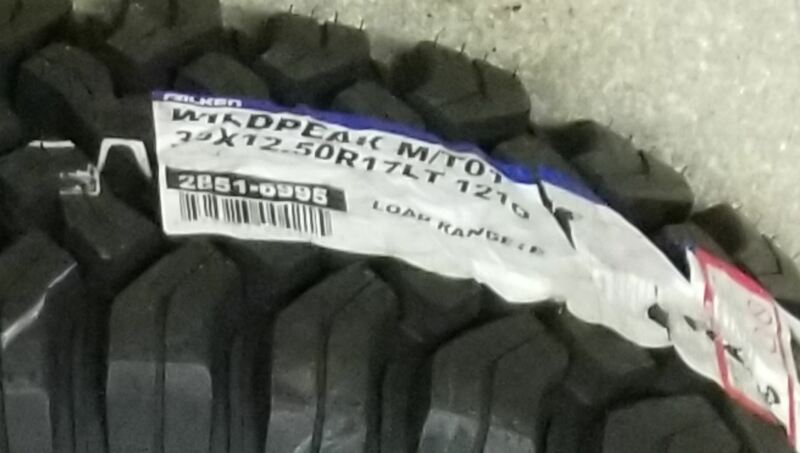 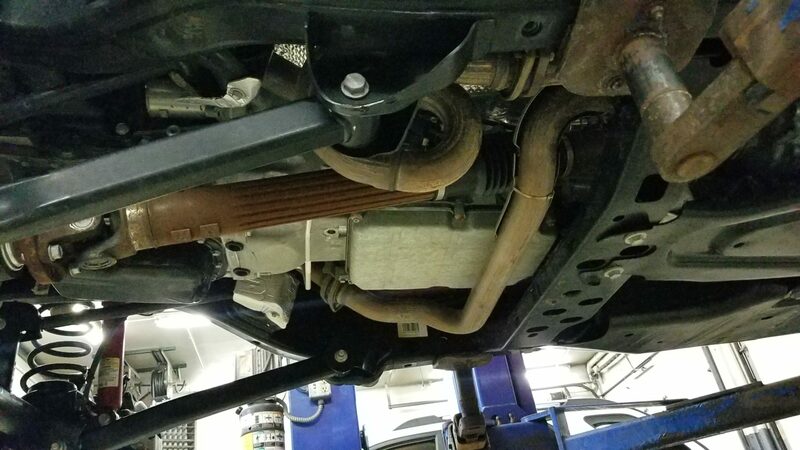 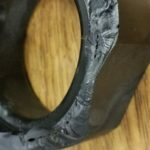 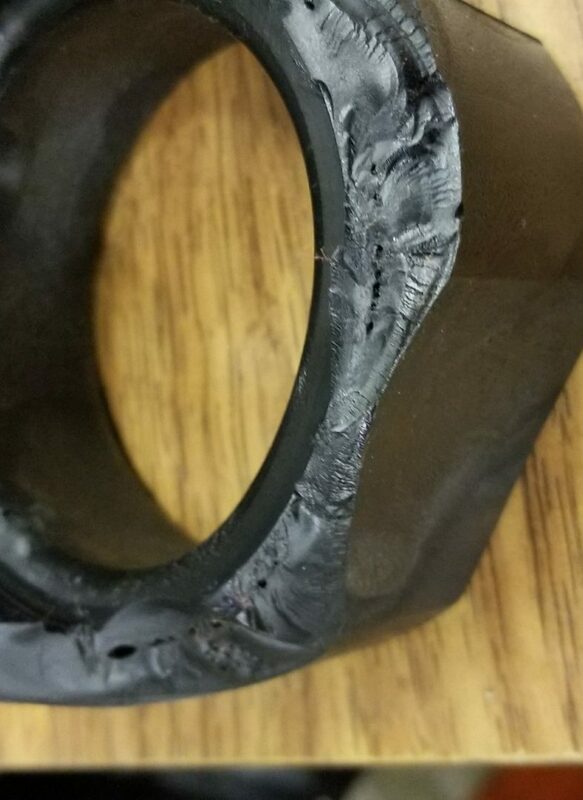 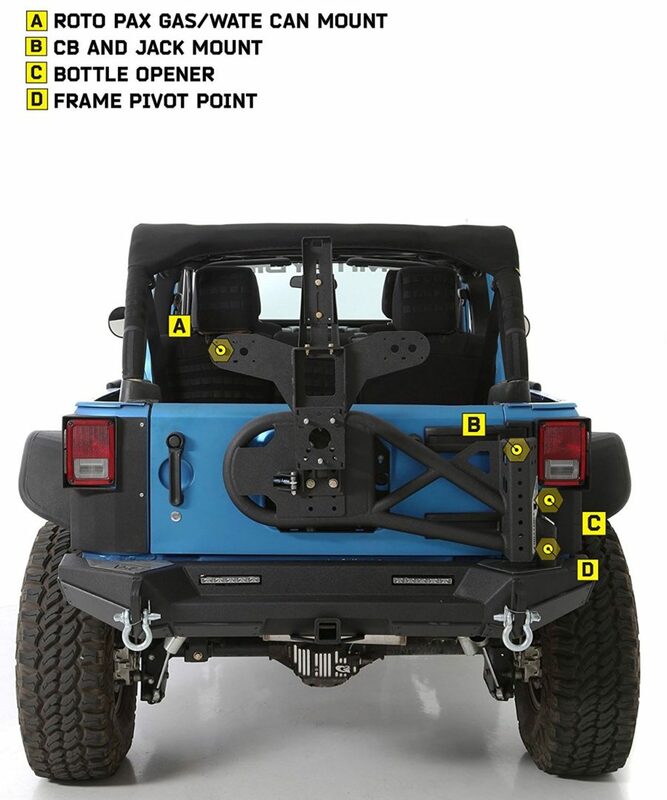 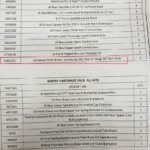 NOTE 2: There was a failed Part #467265 – “JK Rear Upper Speed BumpStop Cup Extension“- in the lift kit parts list above. 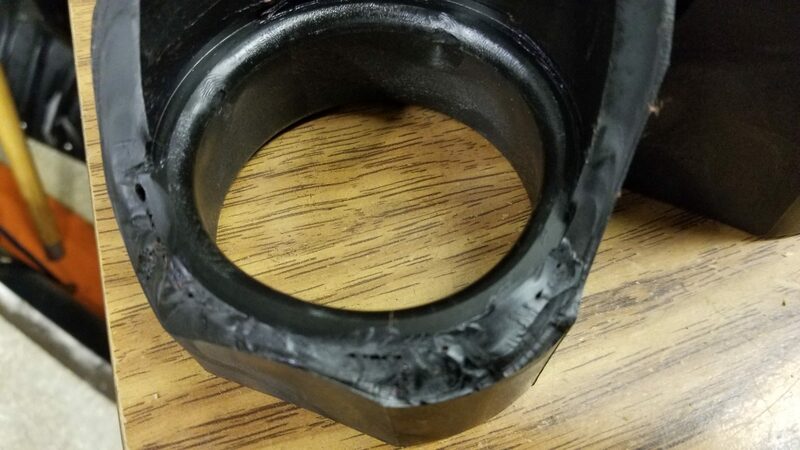 This item broke during the install and Teraflex agreed to overnight it to me. 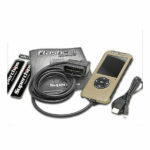 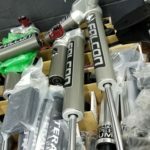 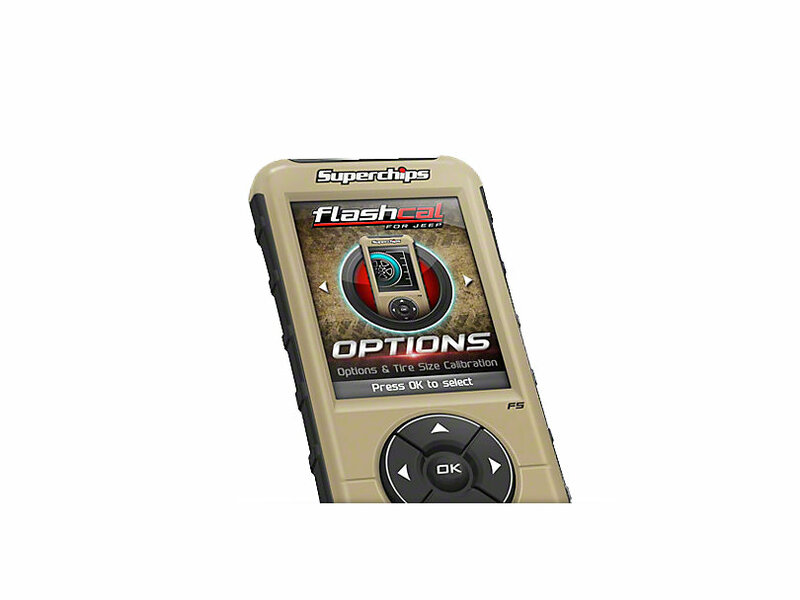 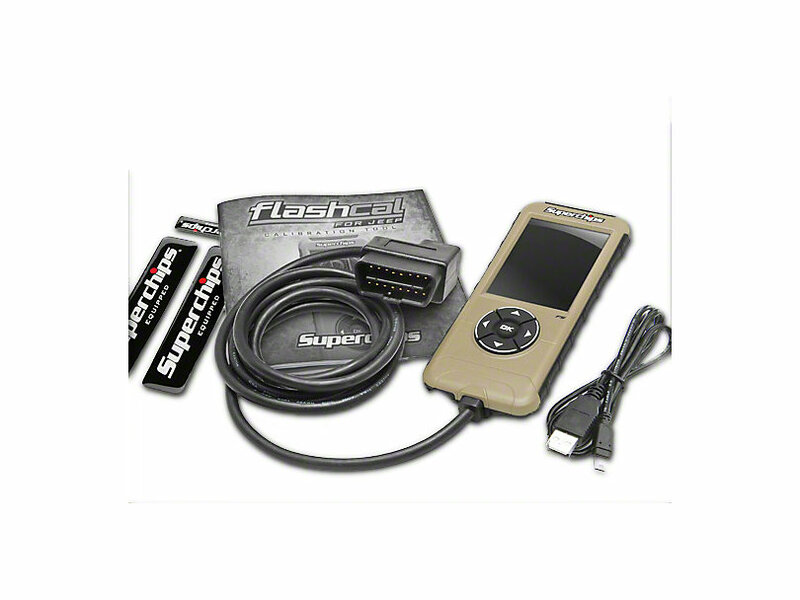 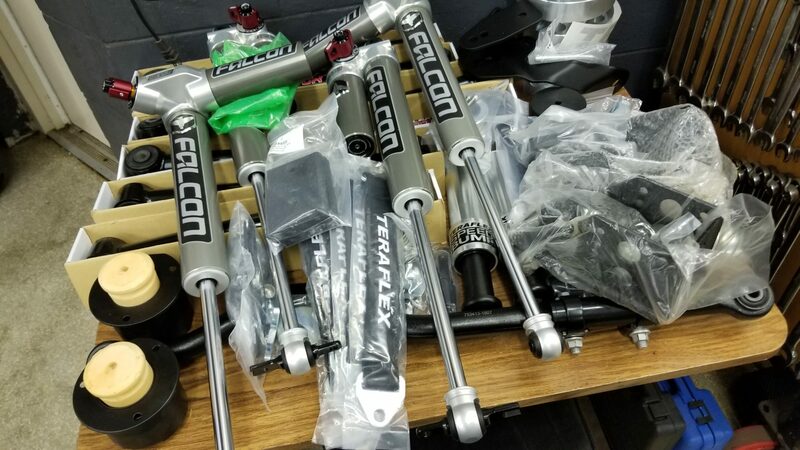 Thanks again Jake – Teraflex for expediting the resolution path. 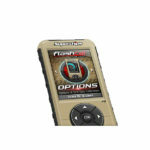 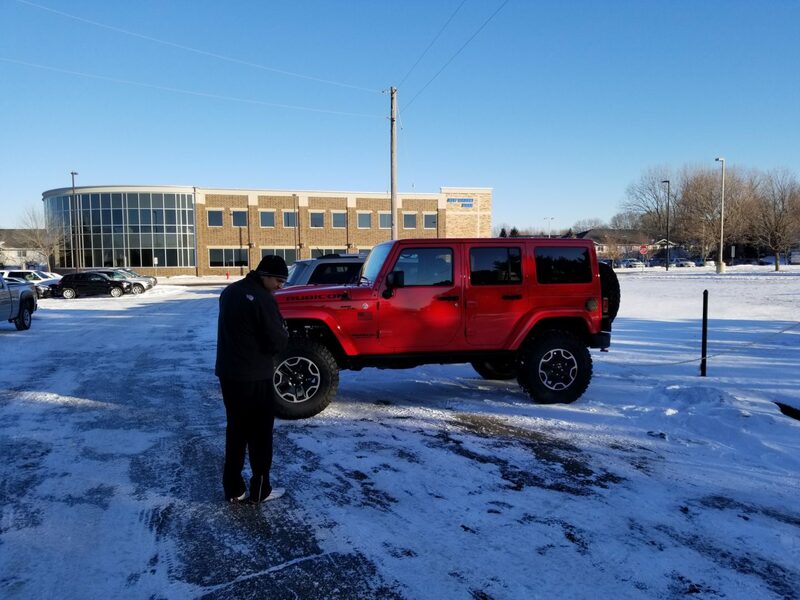 As part of my research to determine which products would work best for me, I had a brief chat with my next door neighbor who has some hands-on off-roading experience,; spoke w/ the pre-sales/technical Teraflex folks a couple of times – did some deep-dive conversation with them; had a few more with the folks at Extreme Terrain have been super great about brainstorming w/ me and helping me decide which ones to get for my specific type of application and have also given me a good deal on these products – a much better deal than what Teraflex had on for sale. 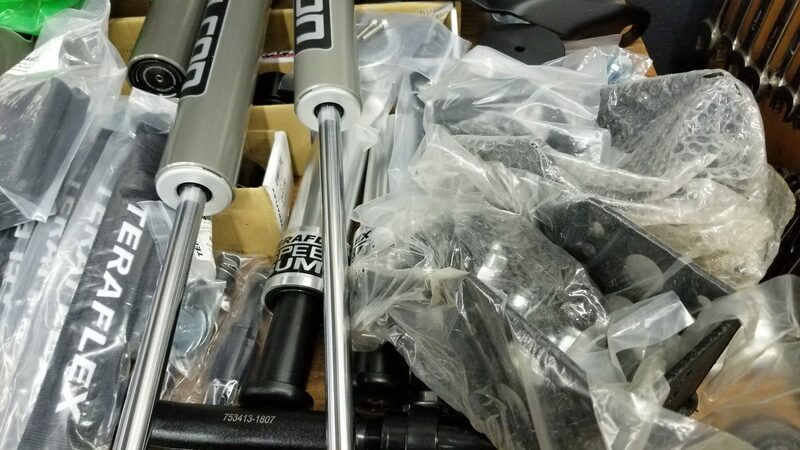 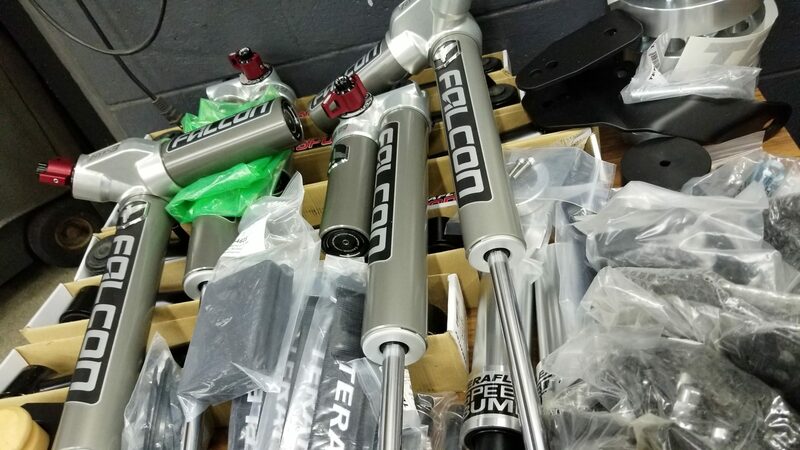 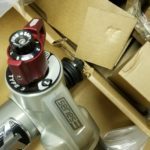 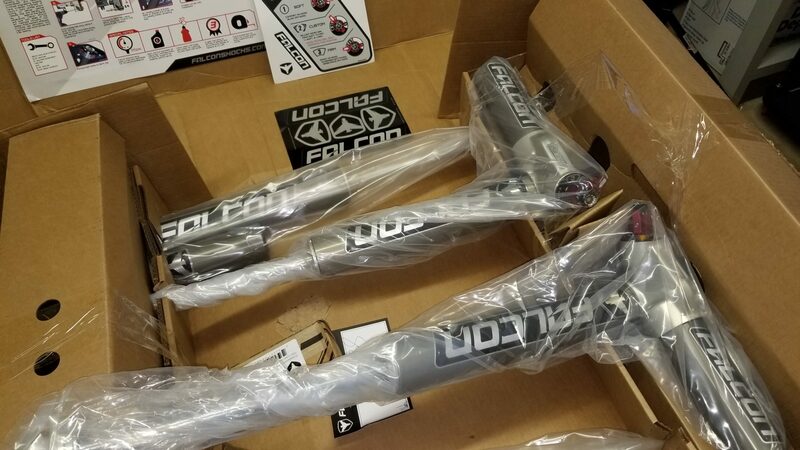 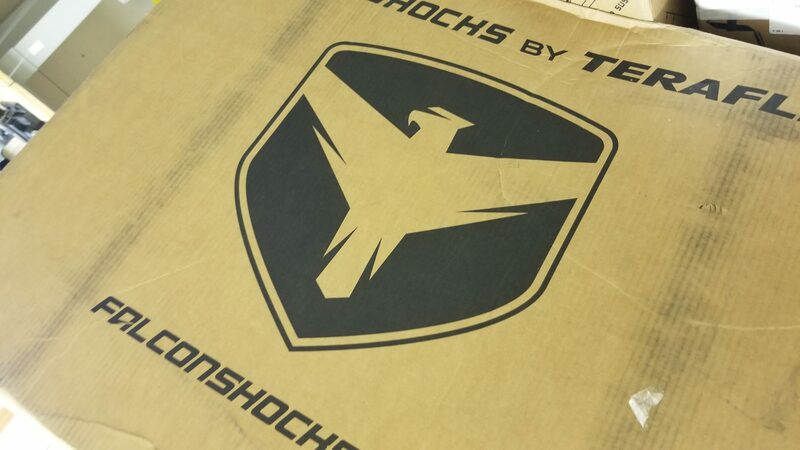 The products arrived in the UPS a couple of days late – and are now ready for the install date. 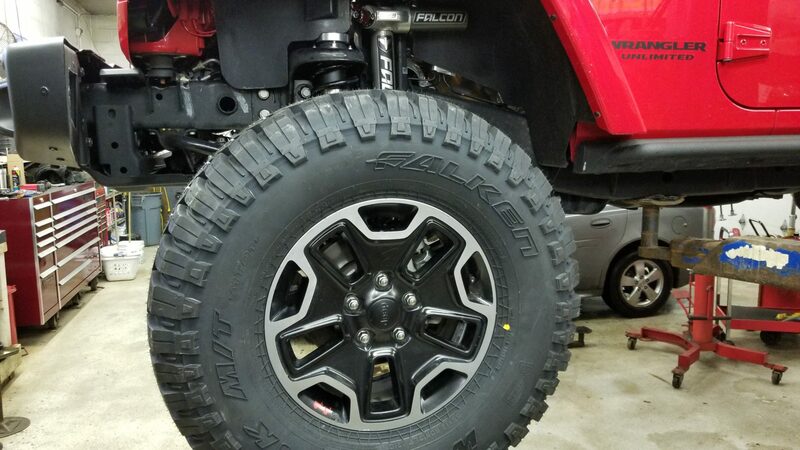 More to come here w/ a few pictures, videos, etc. 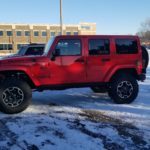 I have been a loyal customer of Velishek Auto‘s here in Prior Lake, MN. 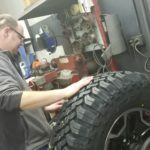 Not only is Velishek a family oriented business, they are true to their customers. 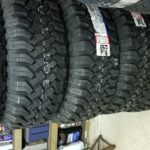 Their team is honest and I feel good about doing business w/ them. 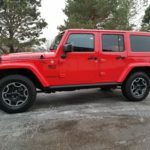 Their service department has been really a great experience for me and my family for several years. 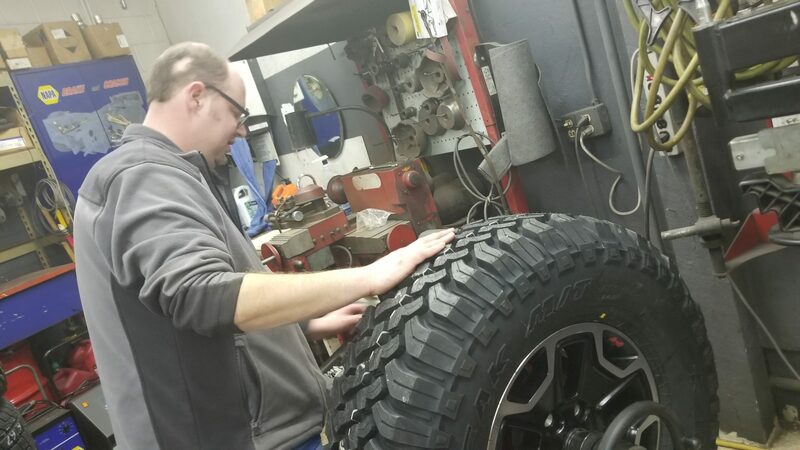 Randy and his entire team at Velishek has and continues to be a good team to work with. 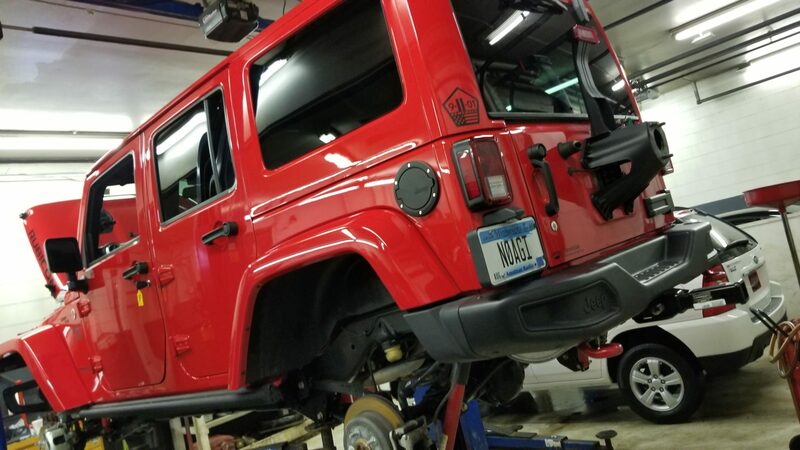 John in their service department is a great guy to work with, very knowledgeable, customer focused and quality driven. 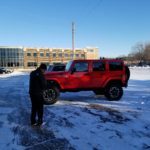 I care about these things when doing business with people – it’s always people first and the relationship/friendship we build with each other. 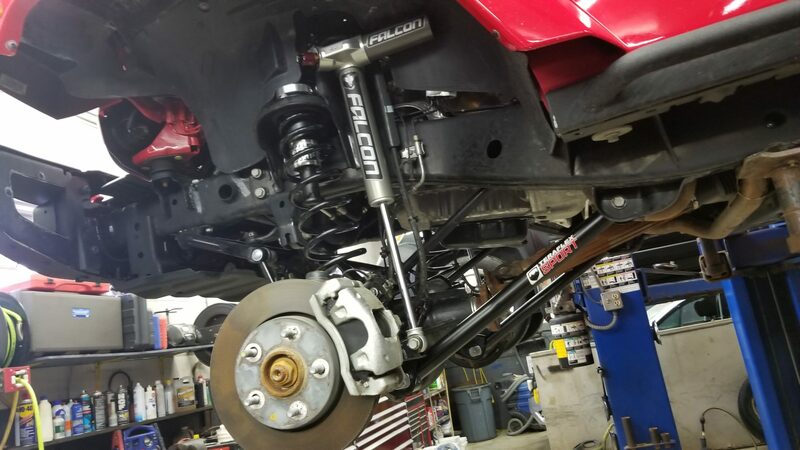 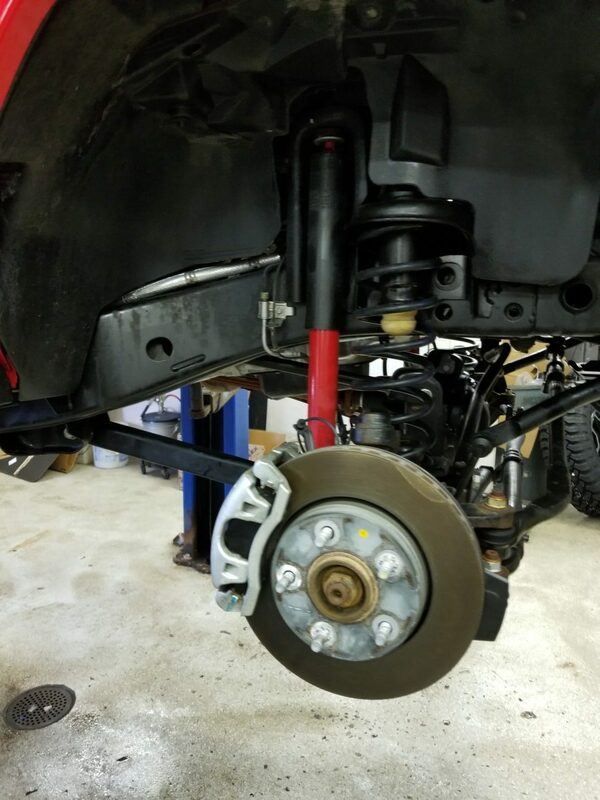 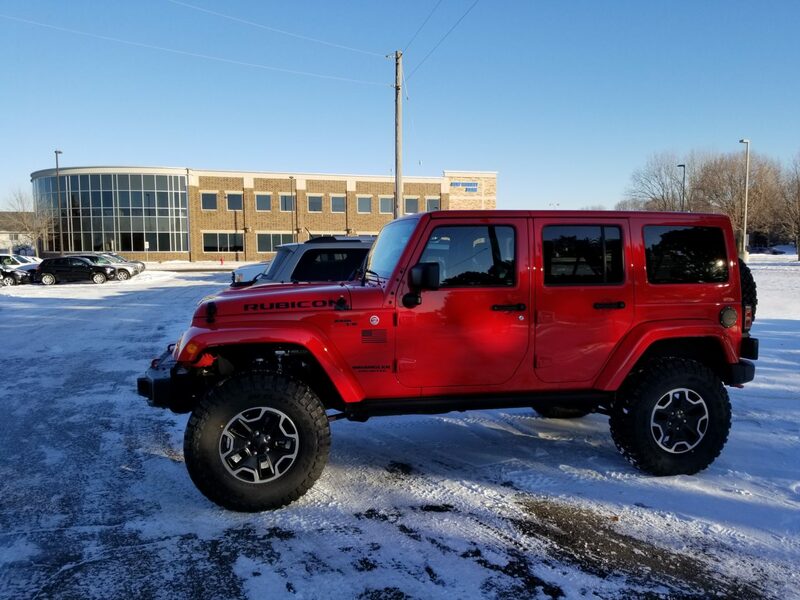 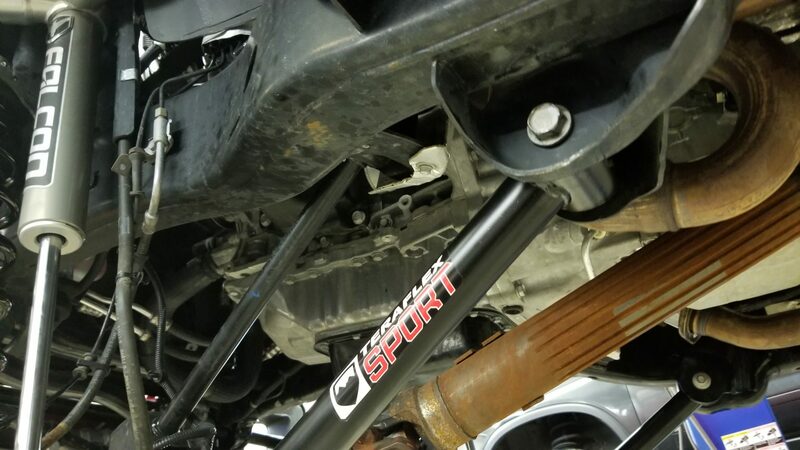 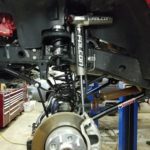 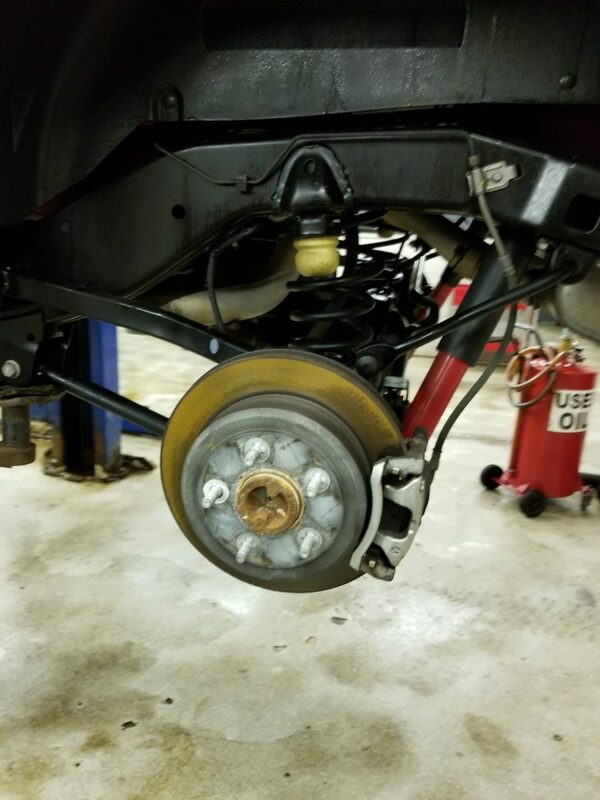 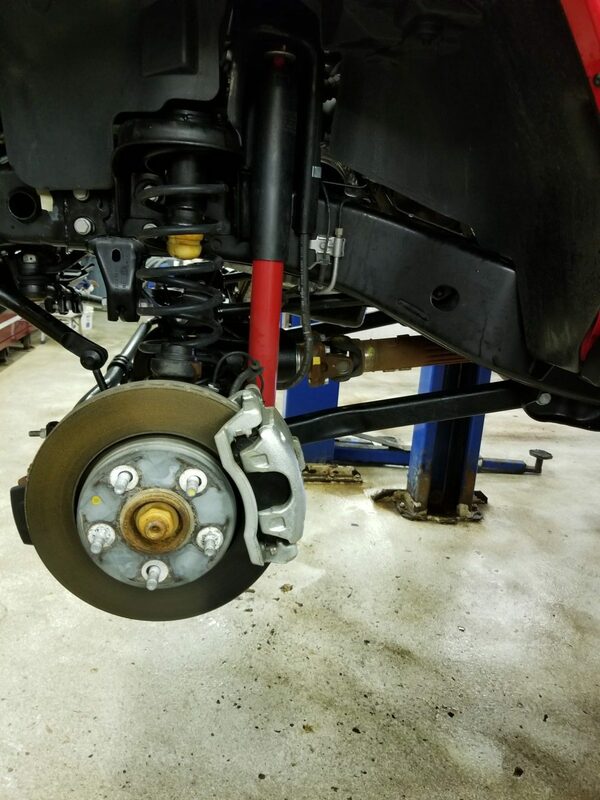 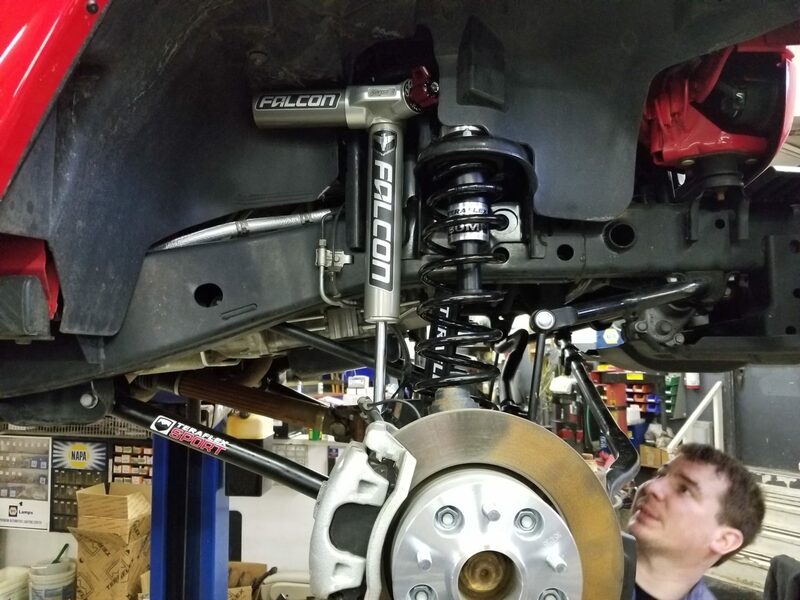 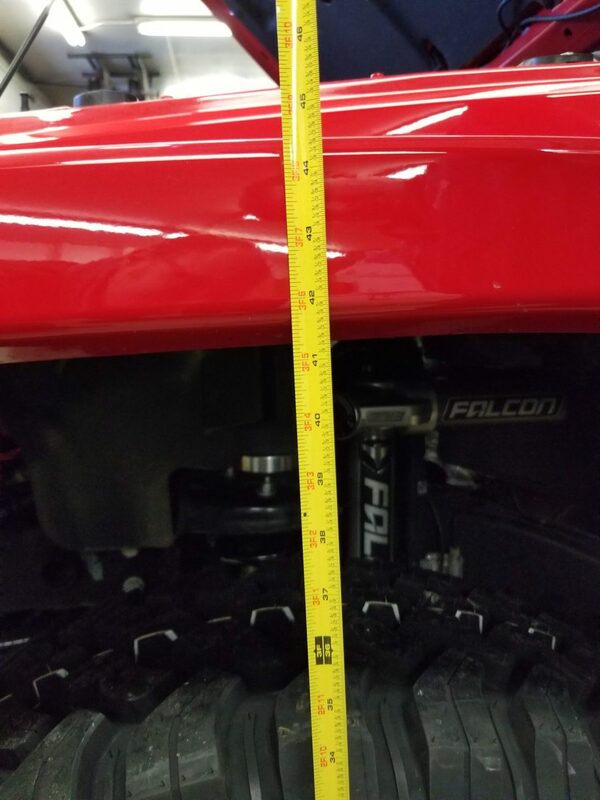 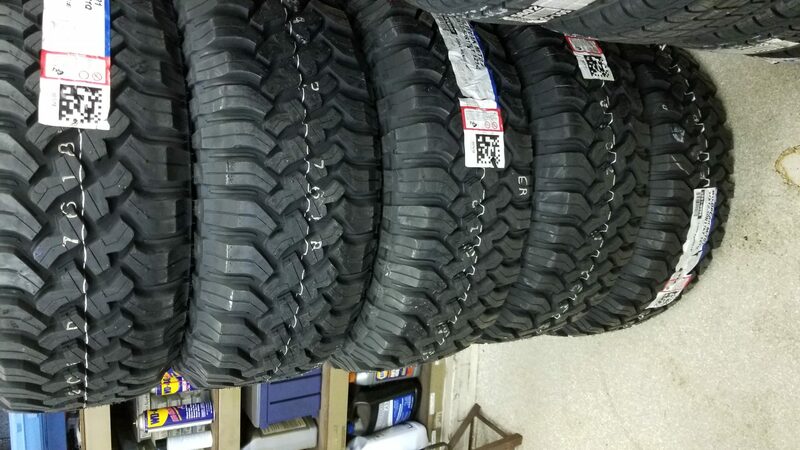 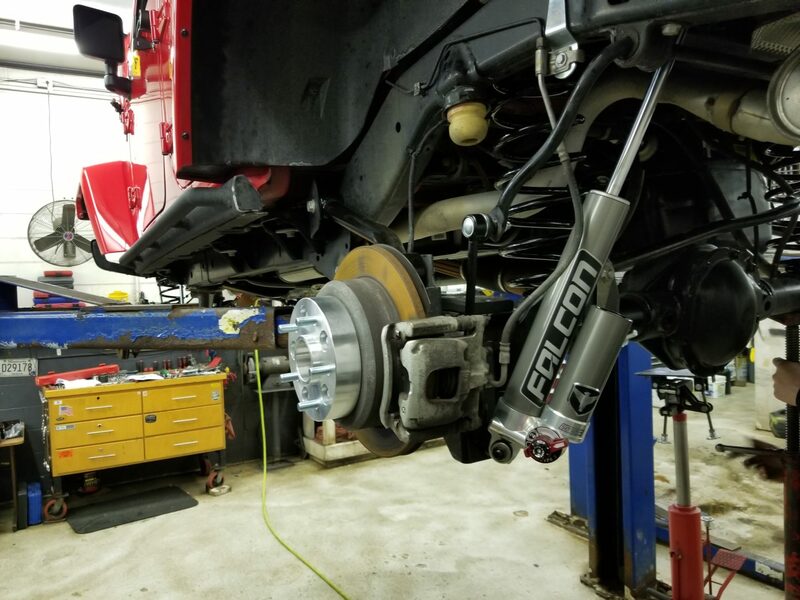 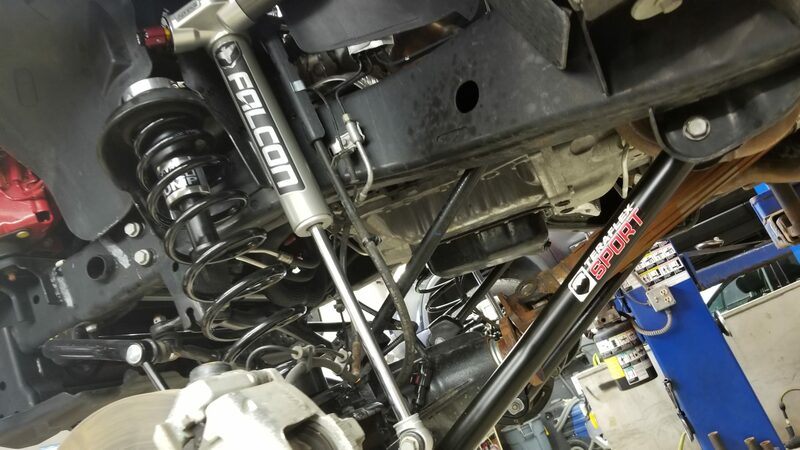 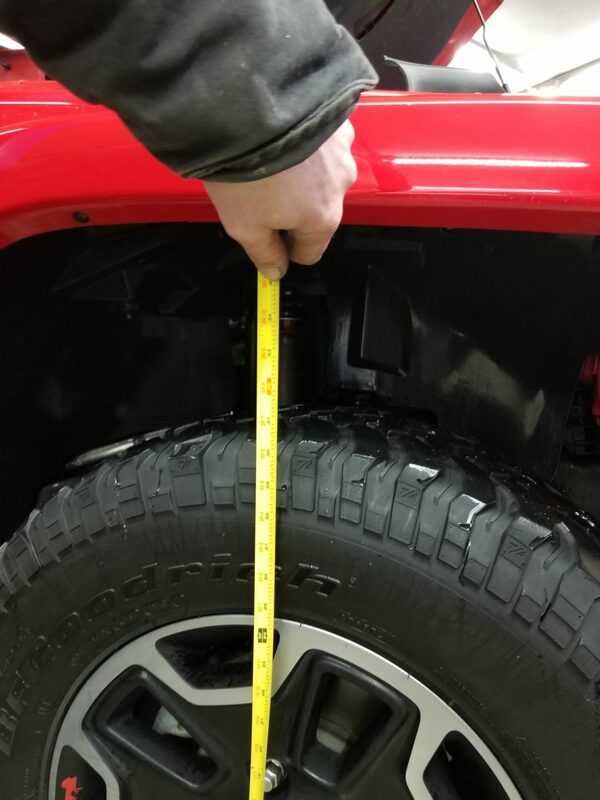 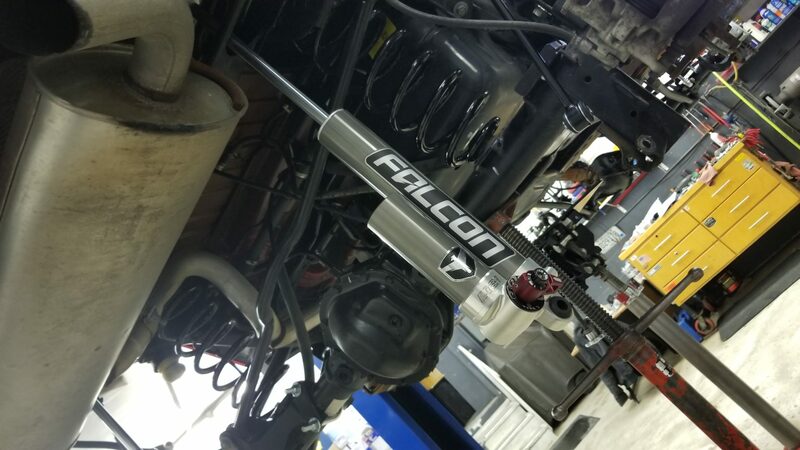 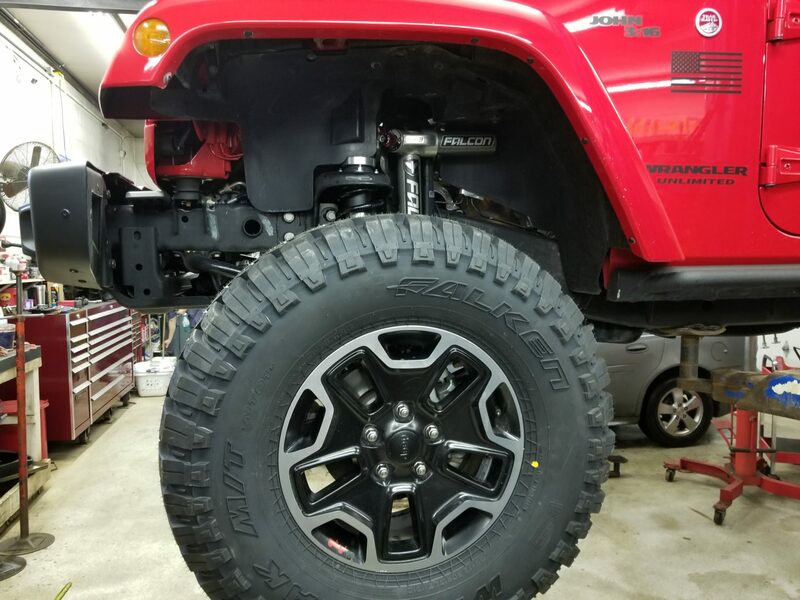 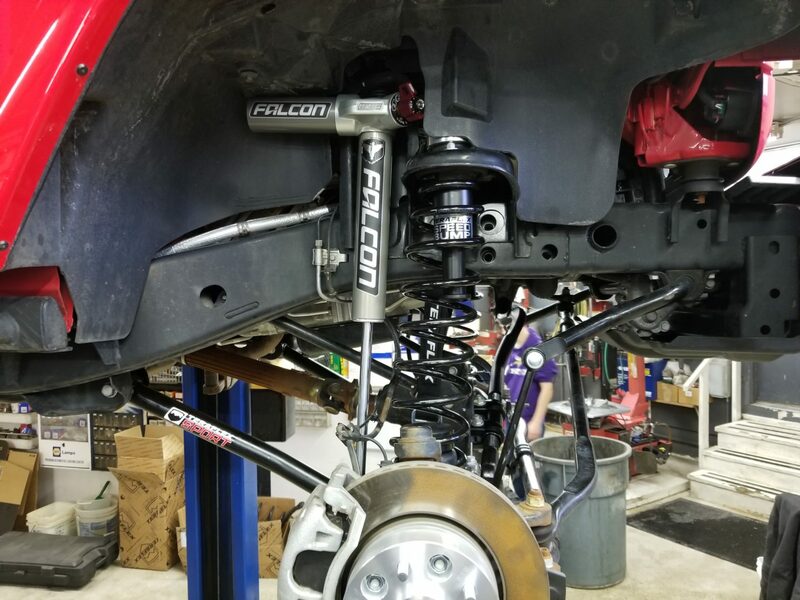 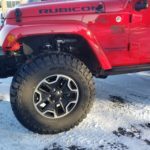 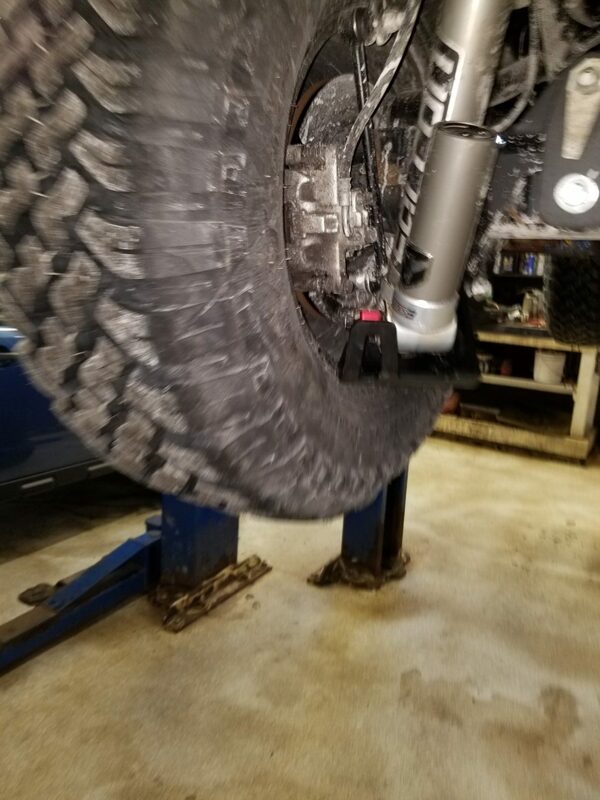 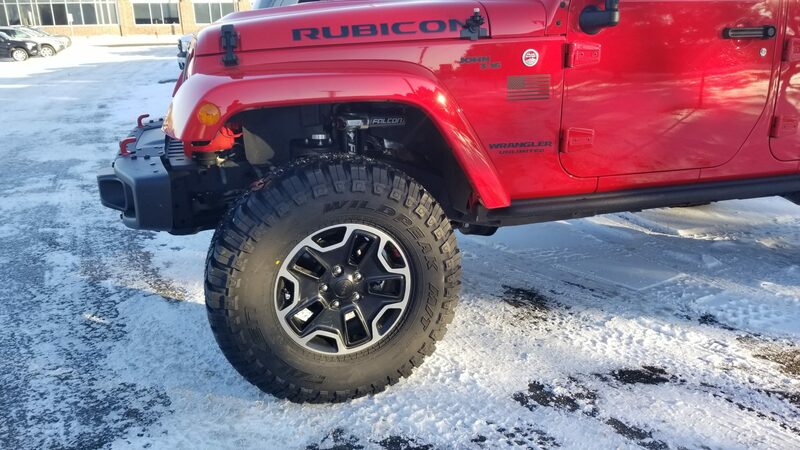 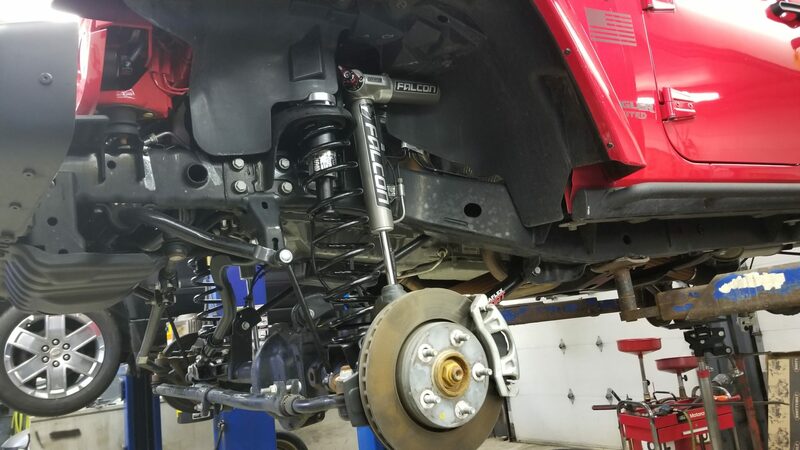 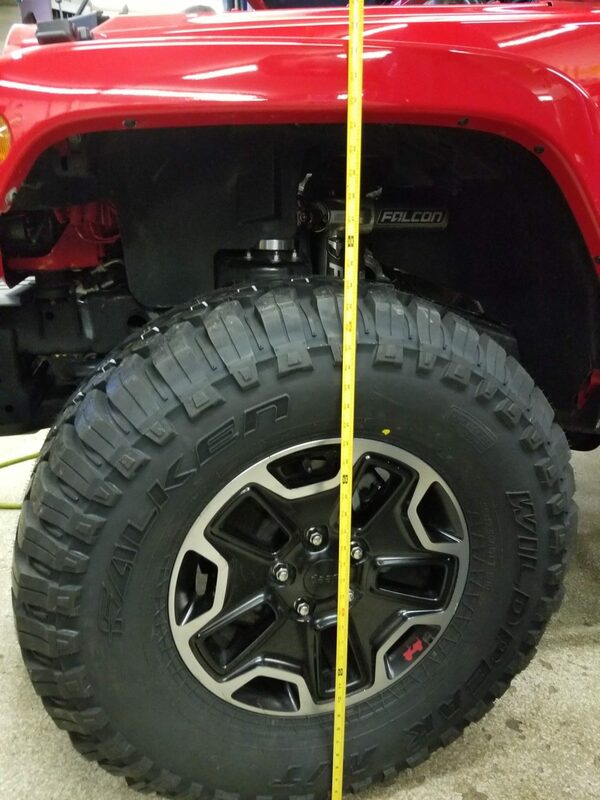 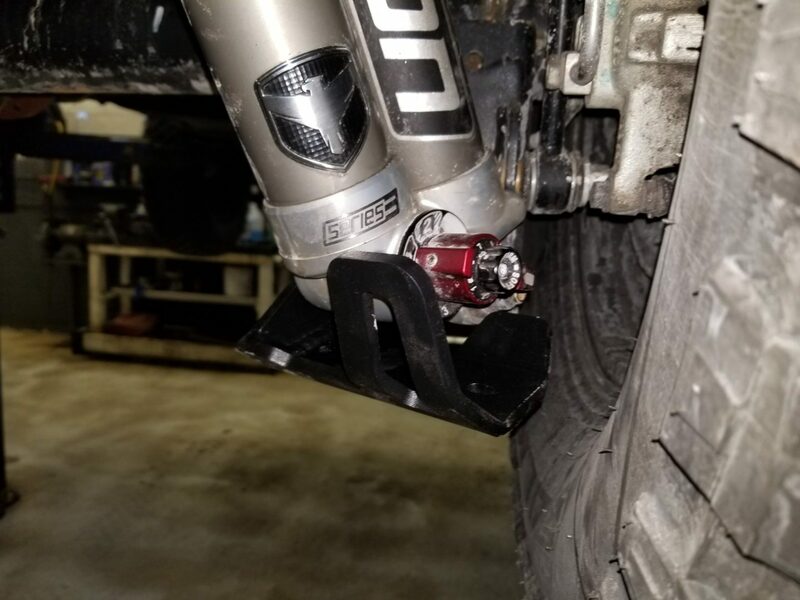 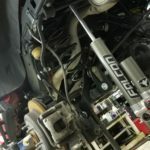 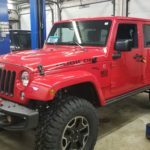 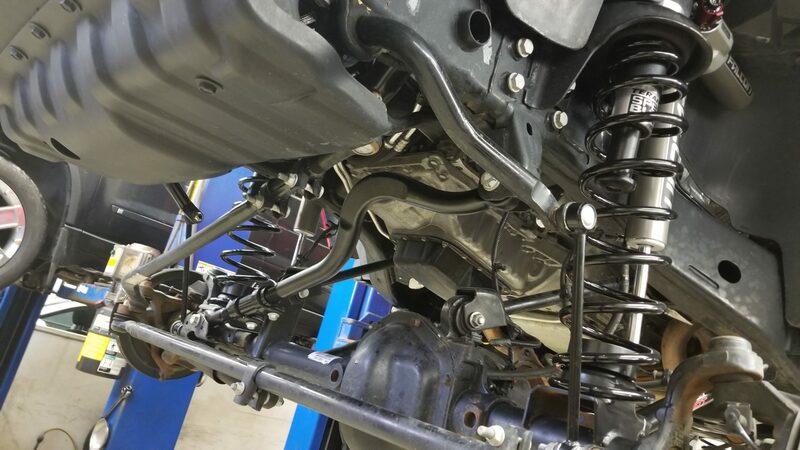 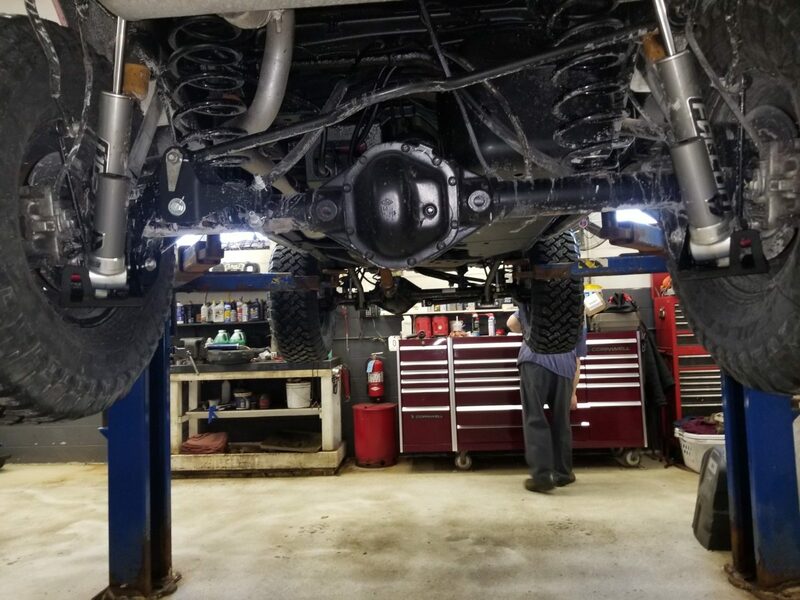 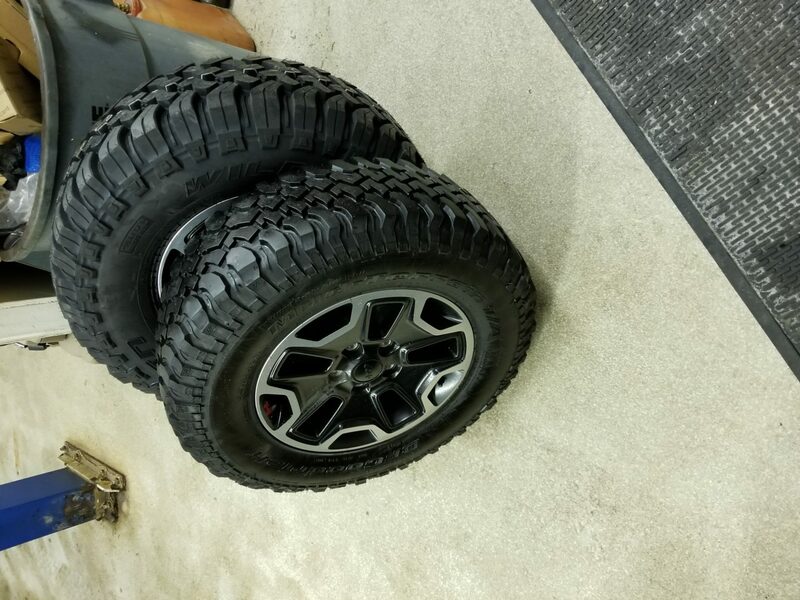 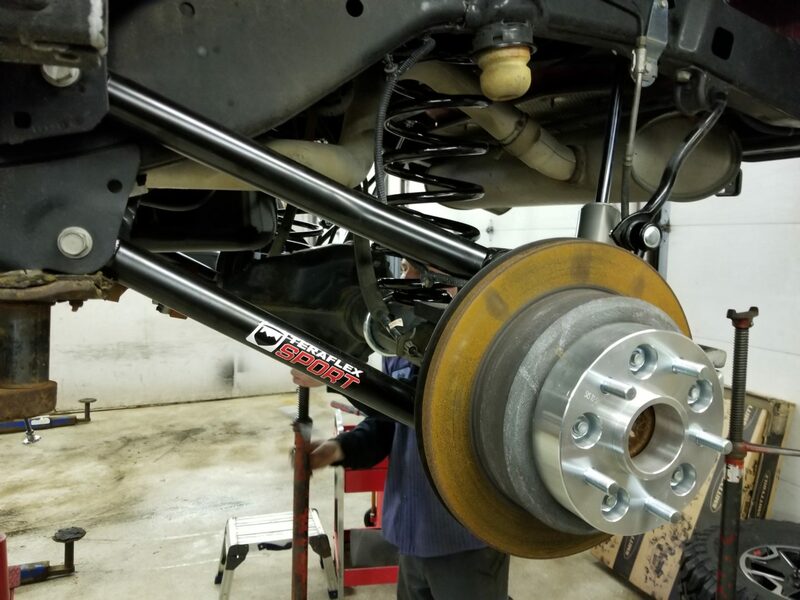 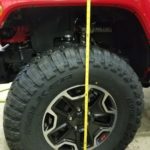 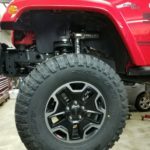 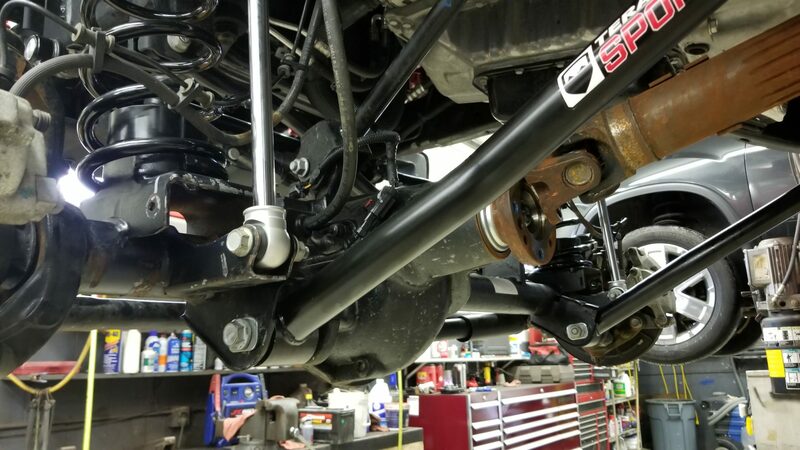 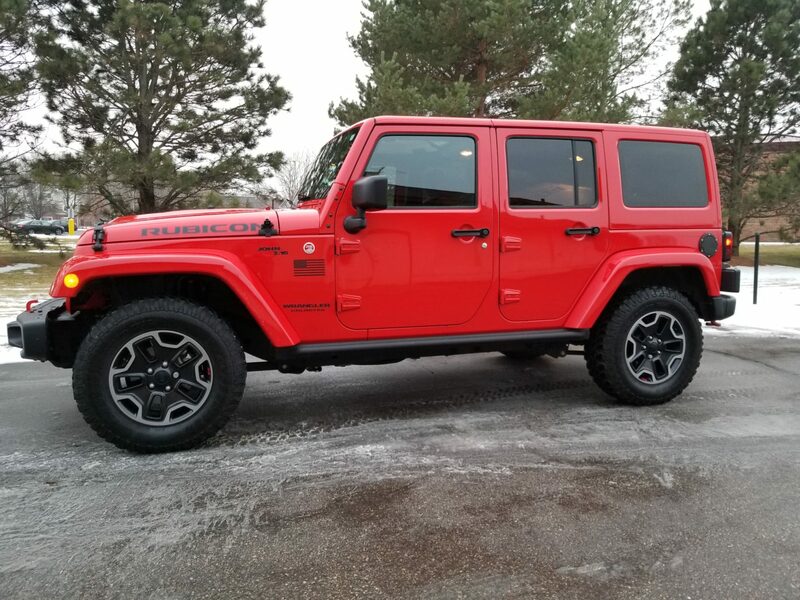 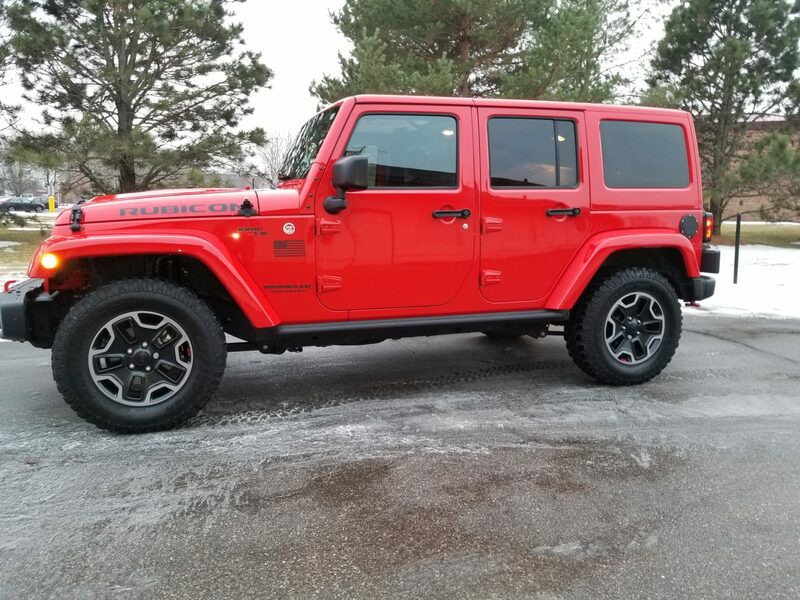 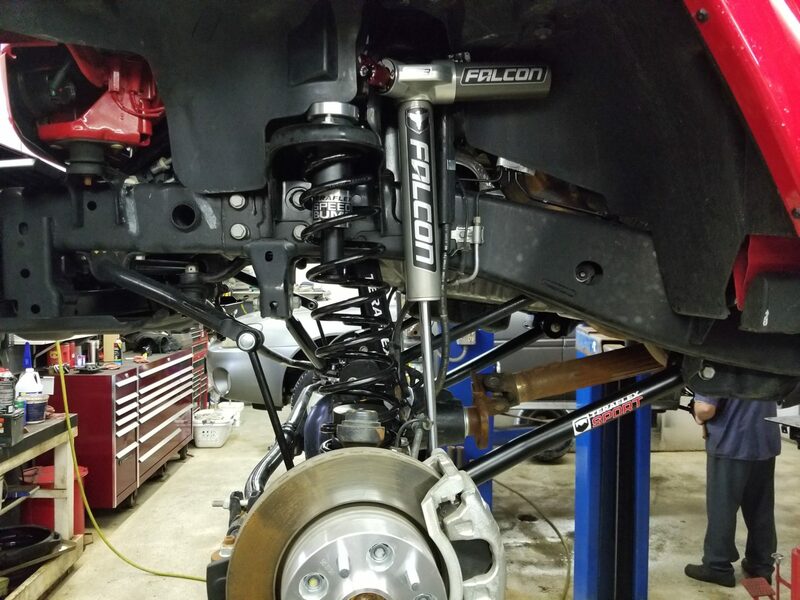 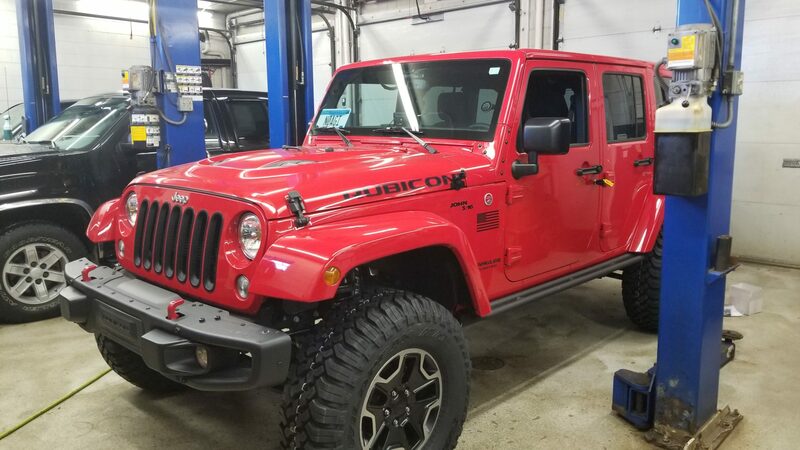 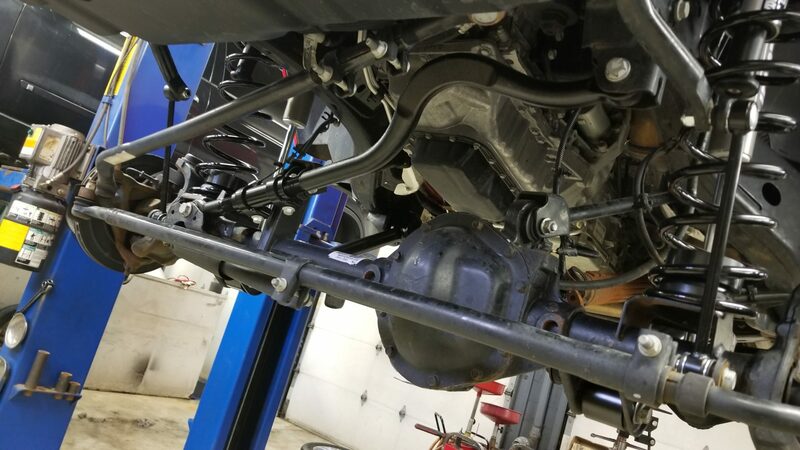 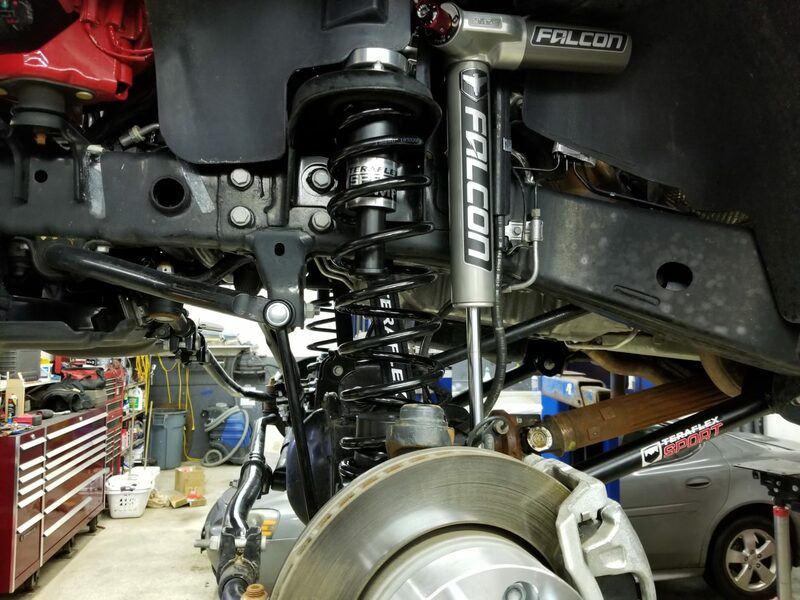 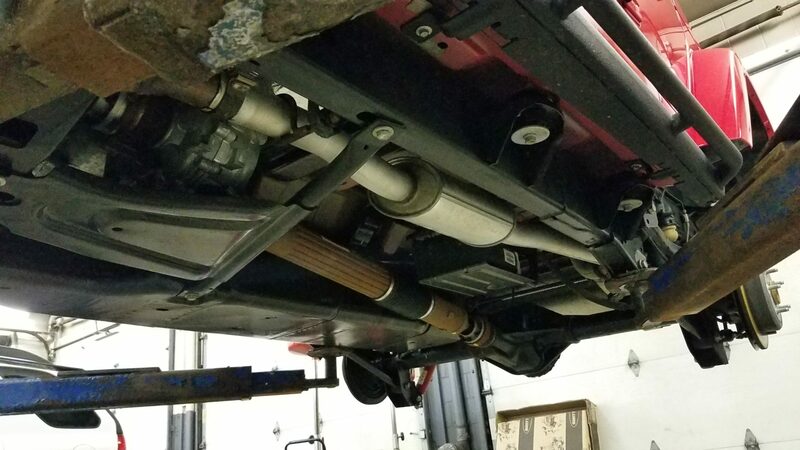 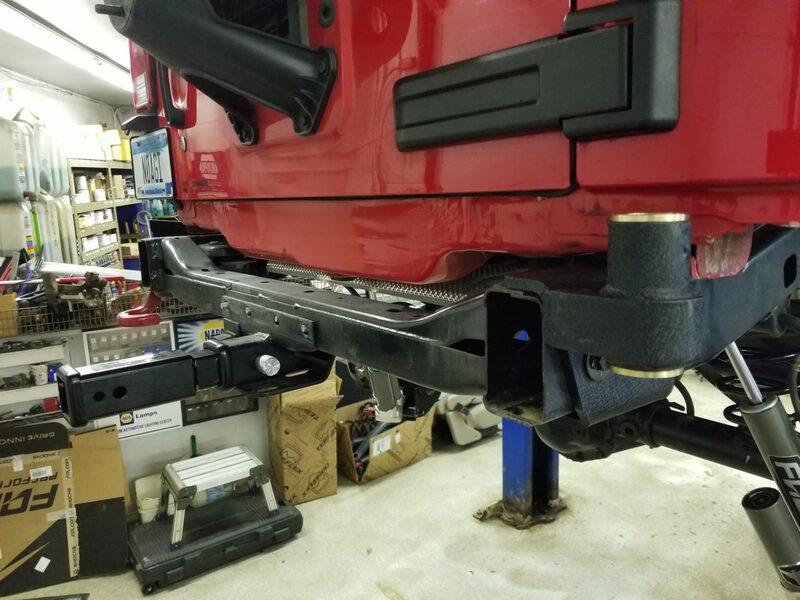 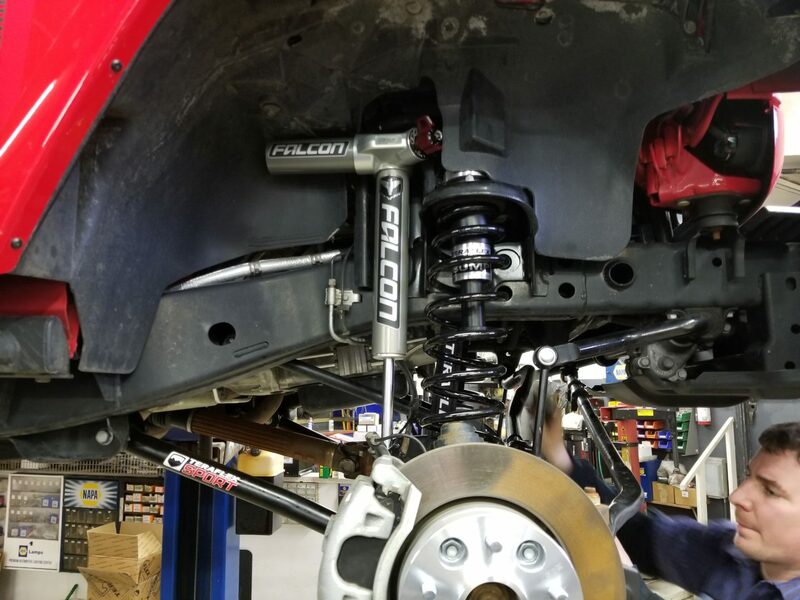 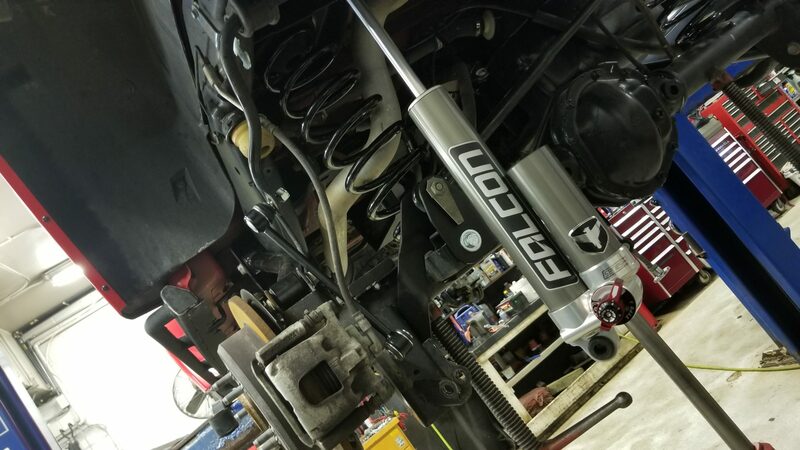 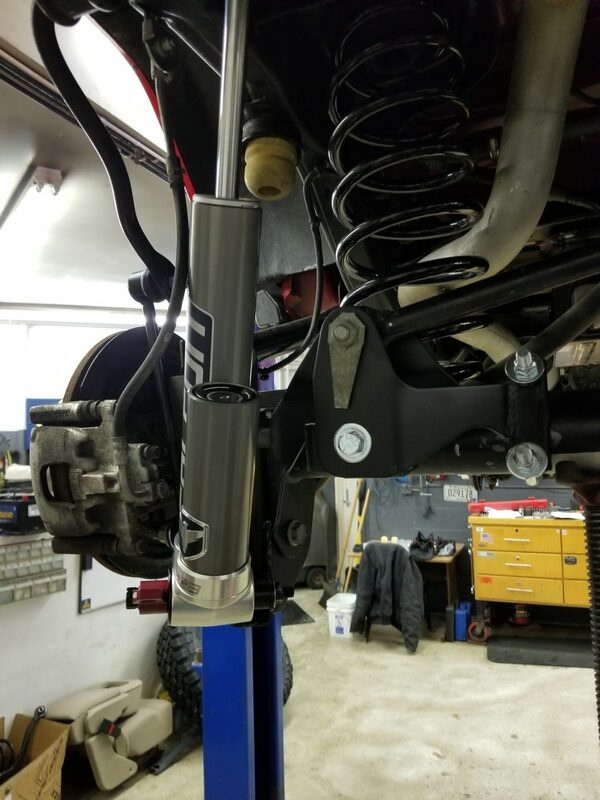 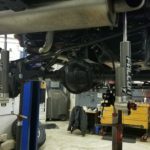 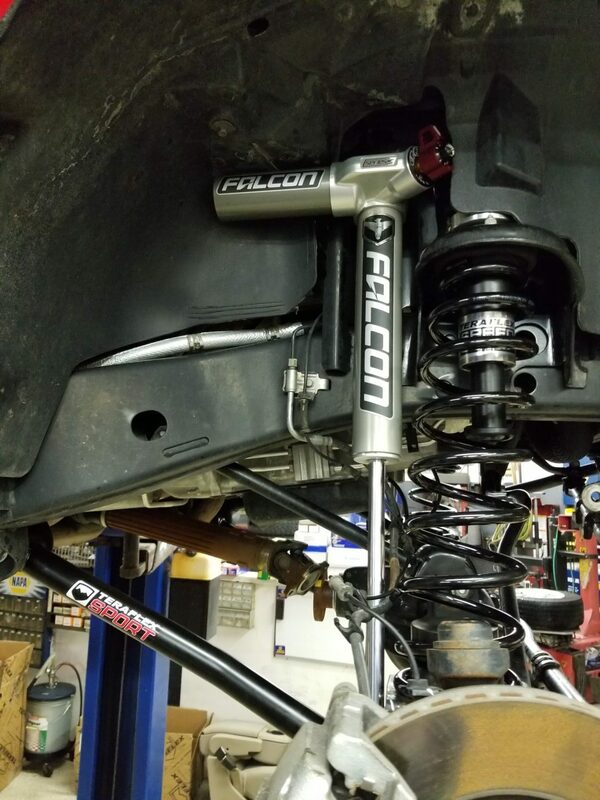 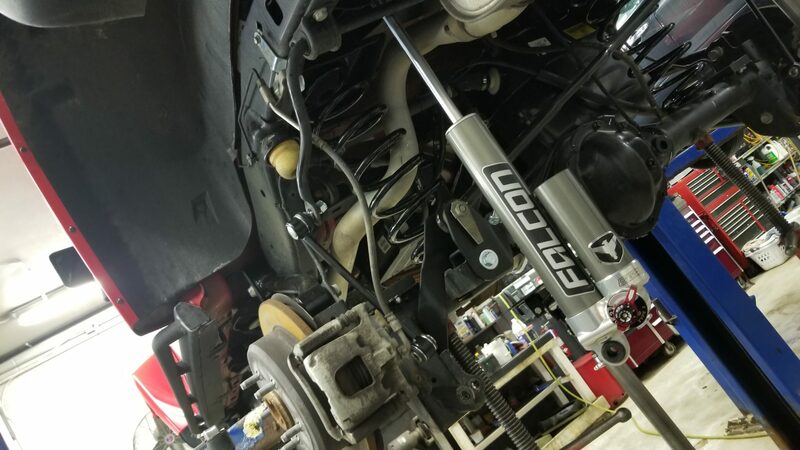 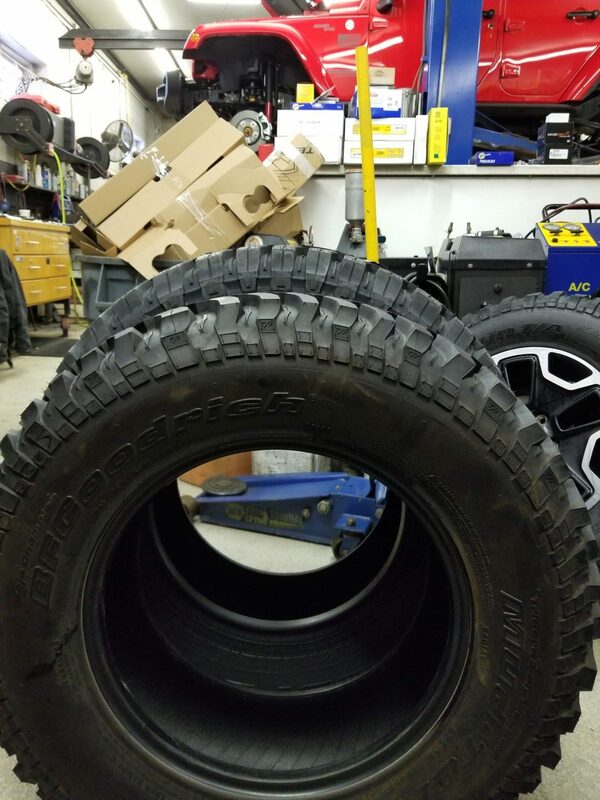 I am super excited to have given my Jeep install business to Velishek’s Randy and his team in John and team; John and team have been looped in early on in the brainstorming process, even before I had ordered the parts. 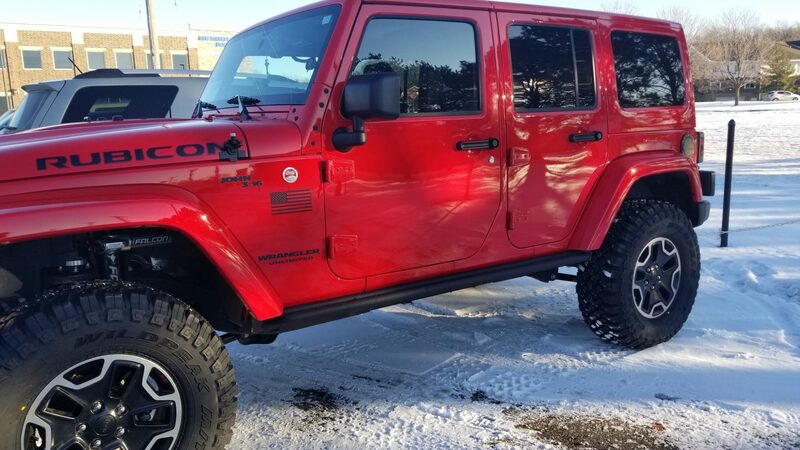 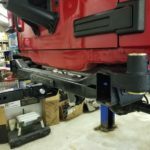 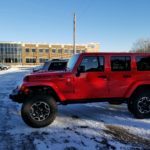 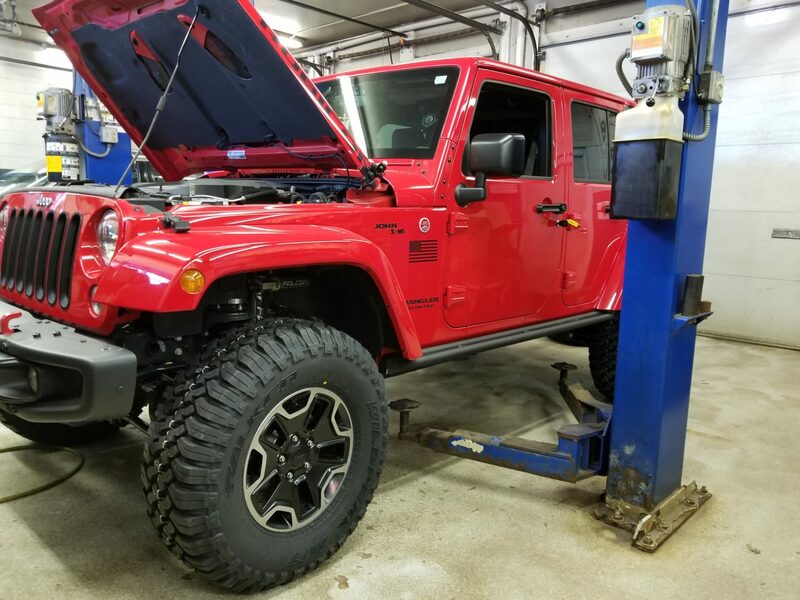 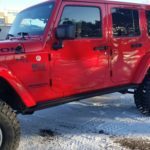 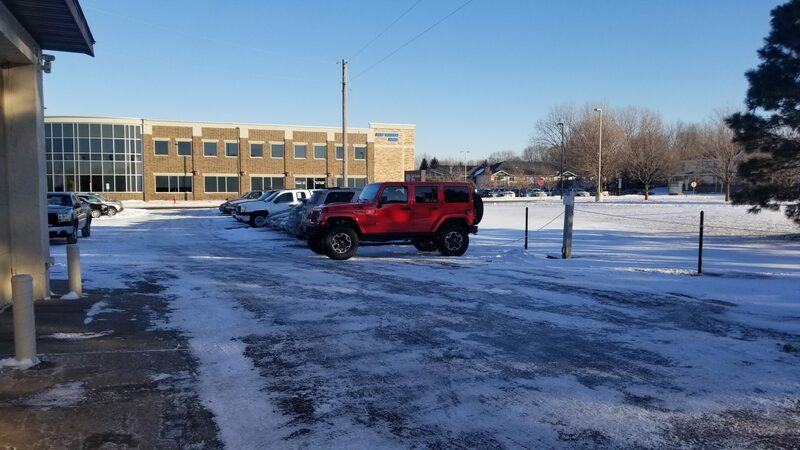 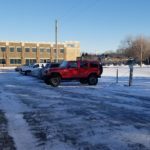 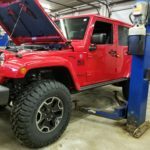 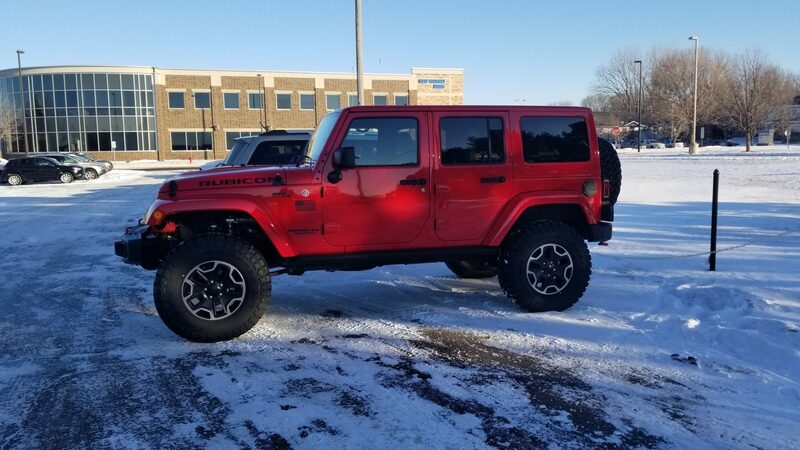 I enjoy keeping the business within the city of Prior Lake, MN businesses and am excited to see the outcome of my Jeep project with Velishek. 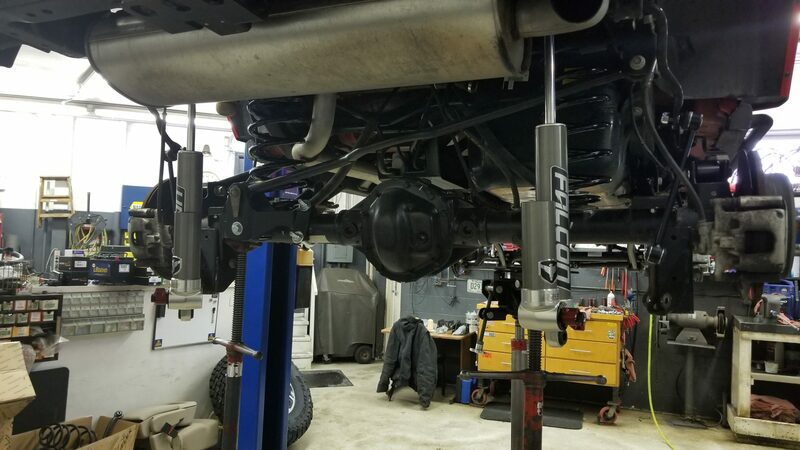 Earlier tonight (Friday Jan 12 2018), the install was completed, thanks to Velishek. 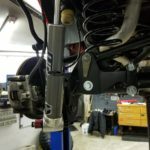 The install went over my budgeted time and money and consequently, “I am a few fries short of a happy meal” over budget. 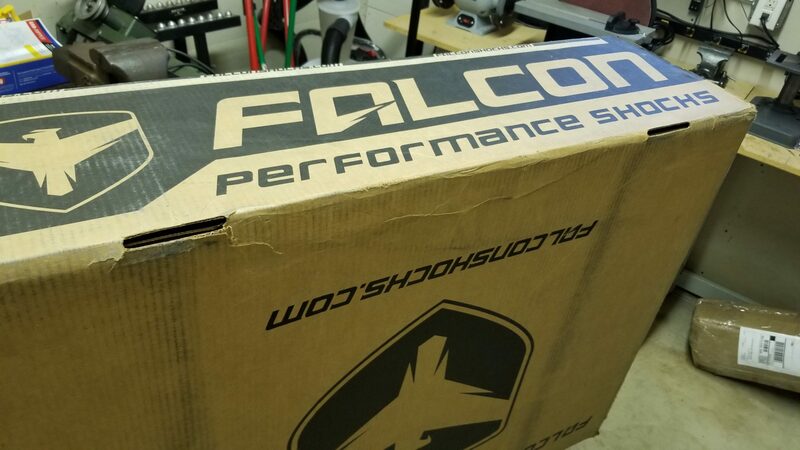 I am assured however, that the install quality is as expected and planned for. 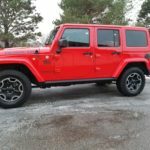 I am very happy w/ the how the Jeep turned out. 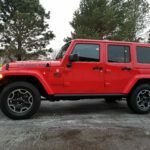 I will be driving my Jeep a few days and reflect back on the experience. 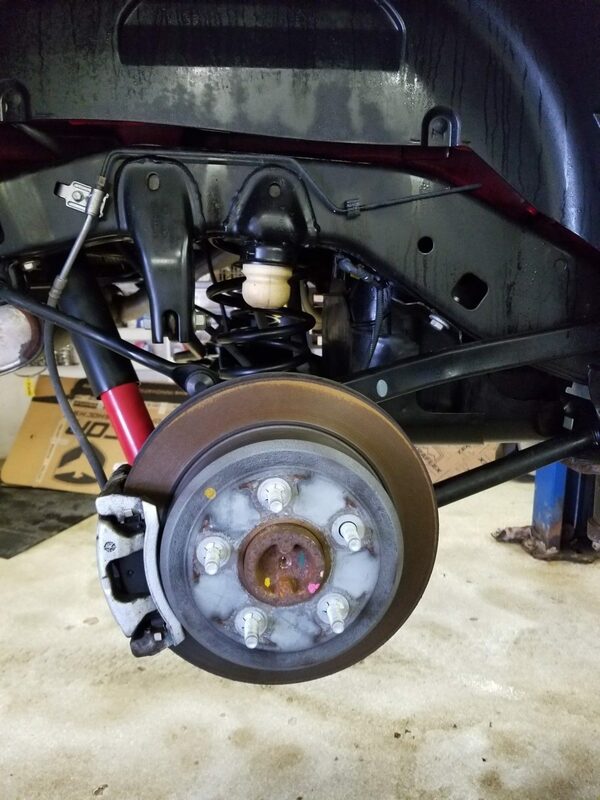 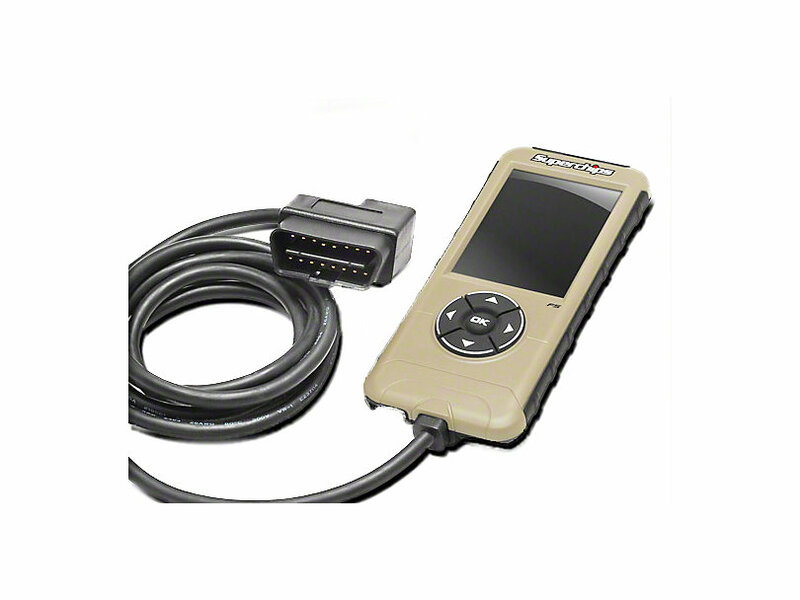 I need to get my wheels + steering wheel realigned, I will have to take my vehicle over to another shop to get that taken care of that and also reset the codes w/ my programmer. 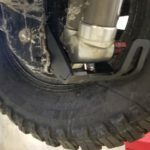 Should not be an issue. 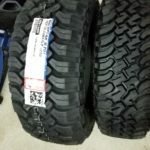 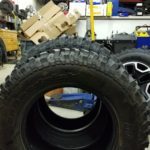 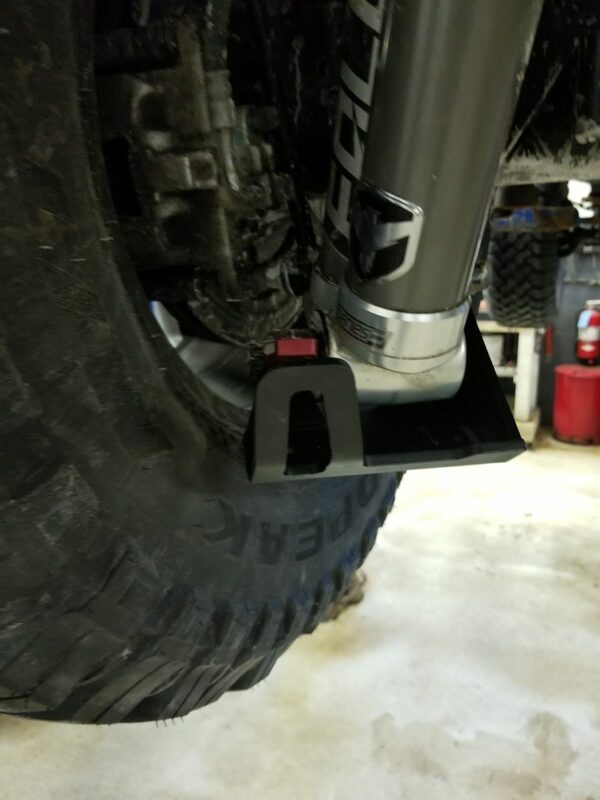 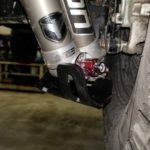 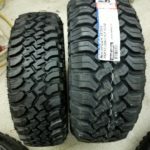 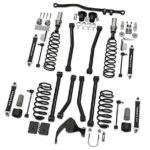 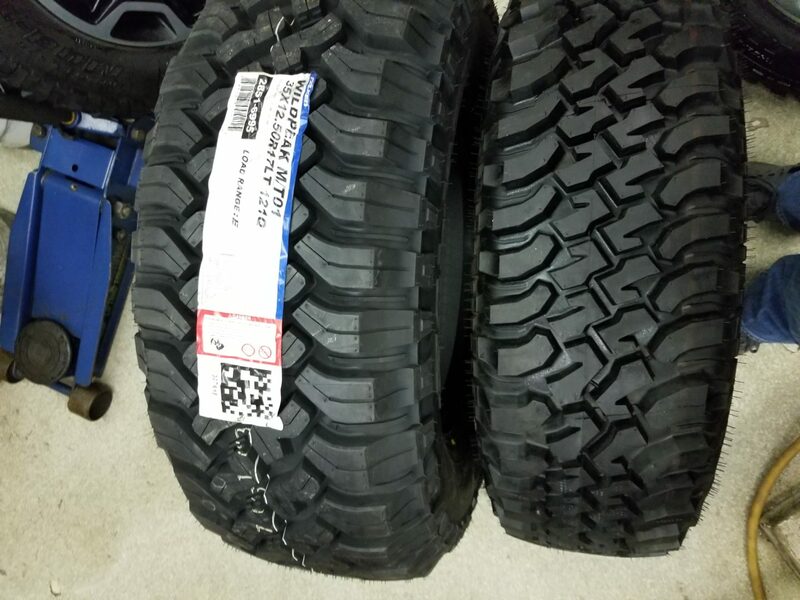 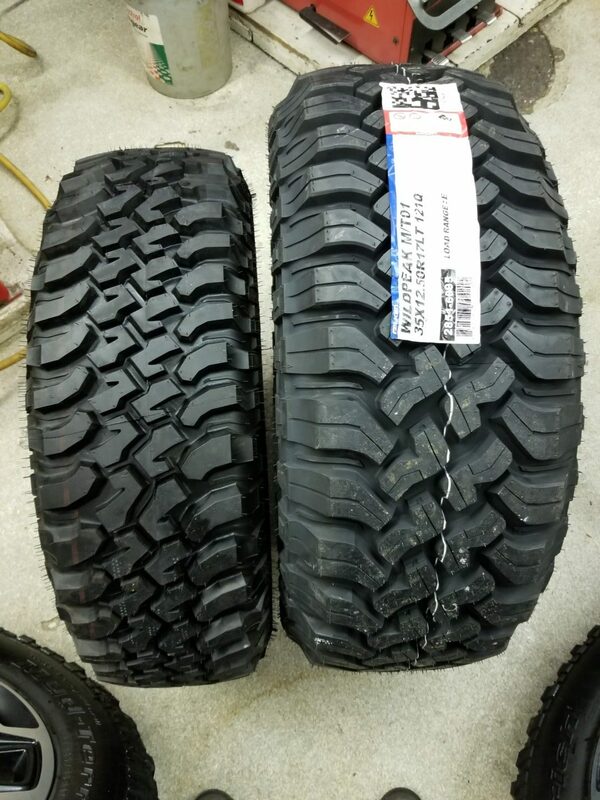 I might hit up Zeus Offroad monday (MLK Day – holiday) and get that addressed. 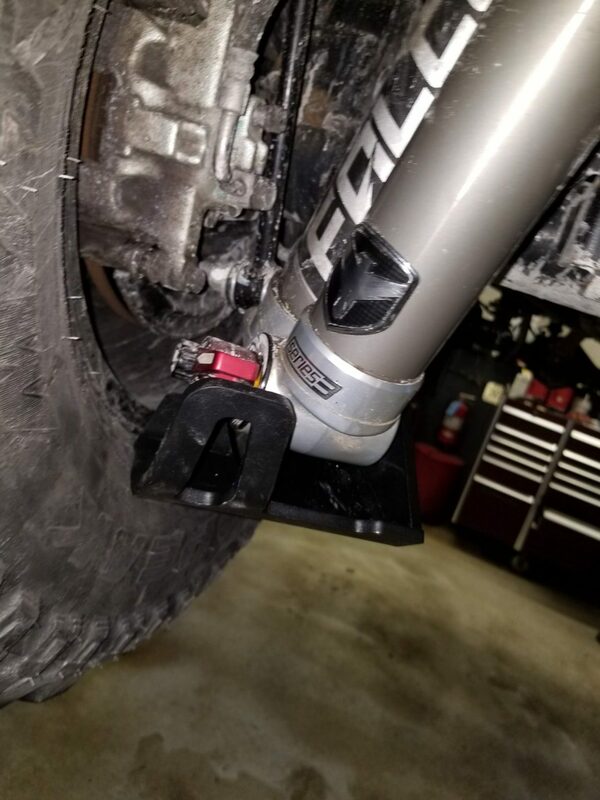 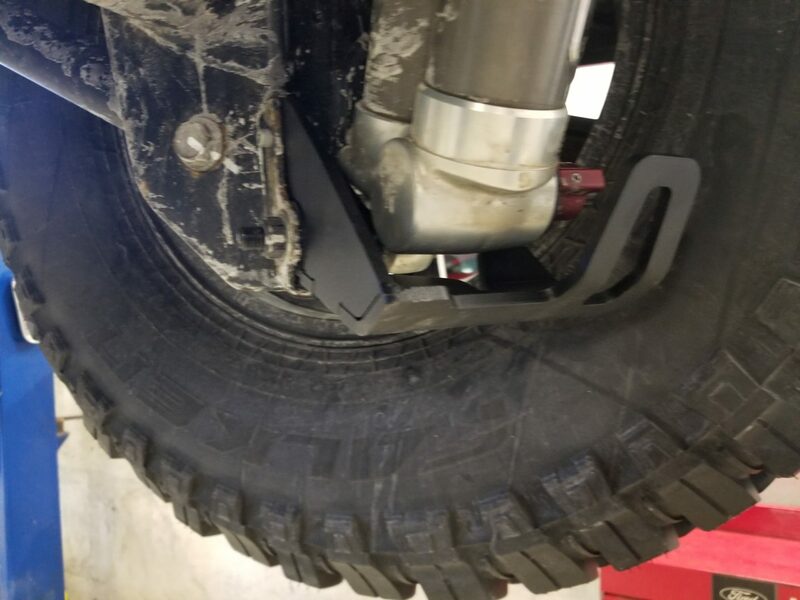 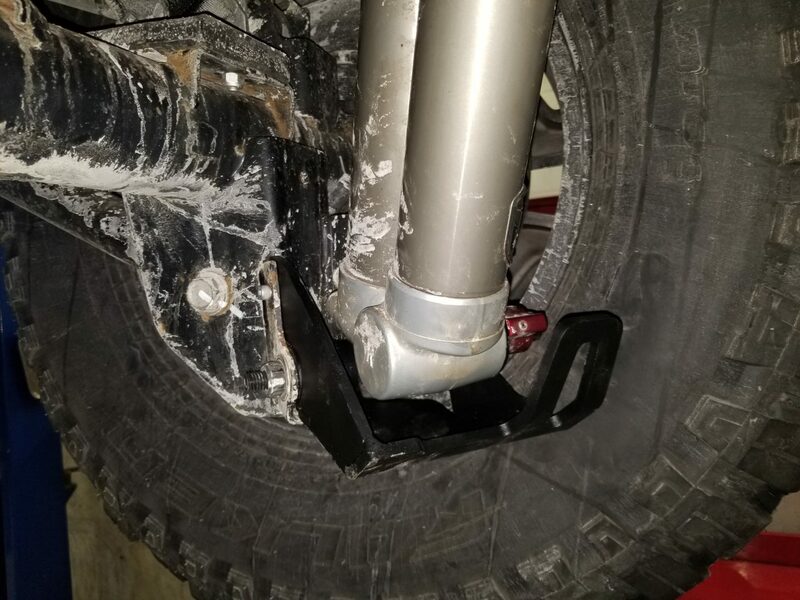 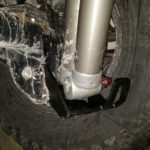 My rear wheel carrier while fully accommodated the new tire with a wheel spacer (got it from Iron Rock Offroad place here in Shakopee, MN), the tire is still right up against the back accessory plate on the carrier. 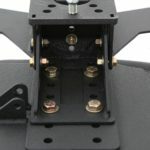 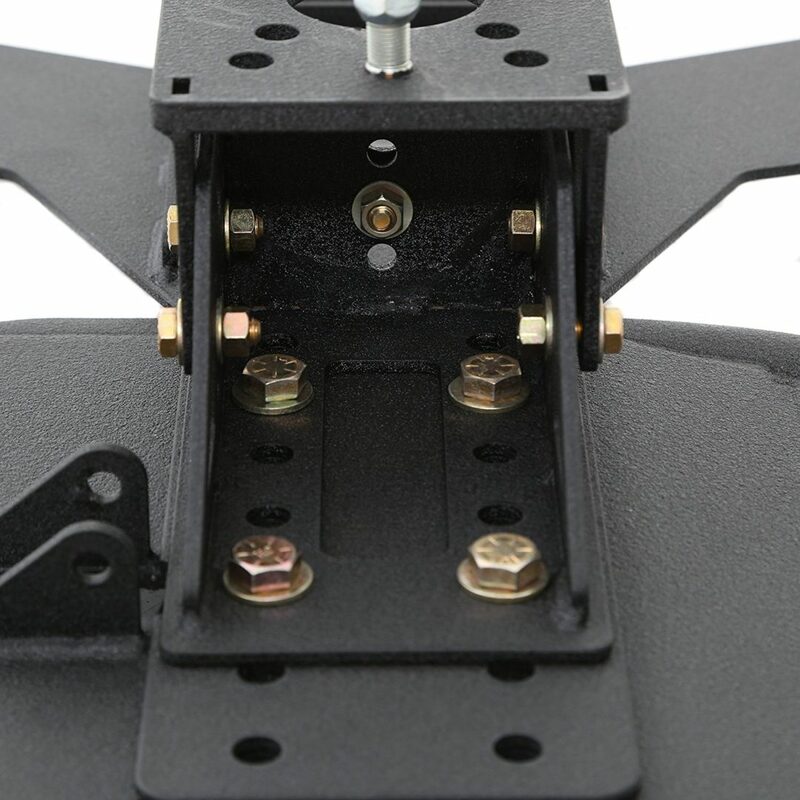 Consequently, I am unable to mount my ROTOPAX on the carrier accessory plate as I was originally hoping to. 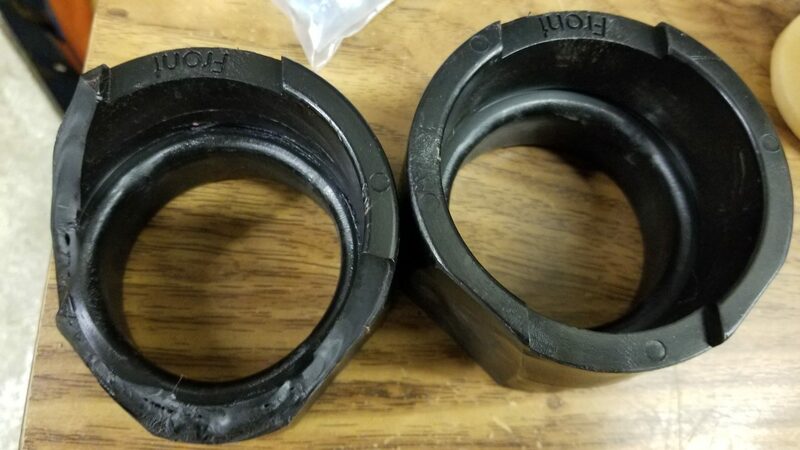 I have an extra spacer, which I might try to install and see if that leaves the extra room for me to get my ROTOPAX installed. 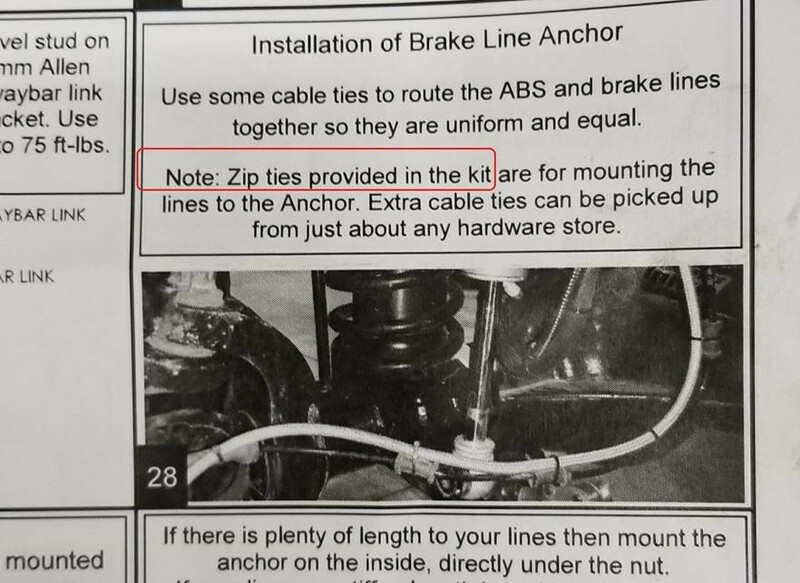 I suspect no, but, I will need to try. 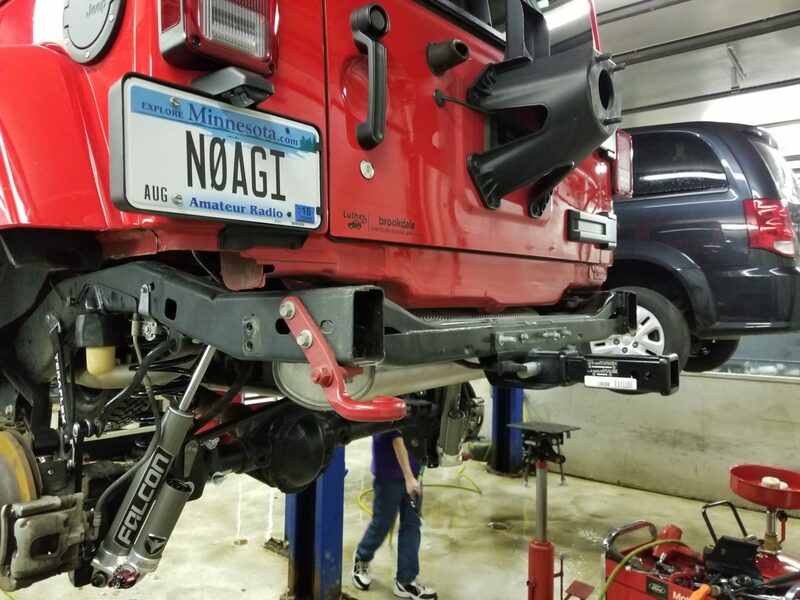 not sure if there’s a workaround to get it back on the jeep or what. 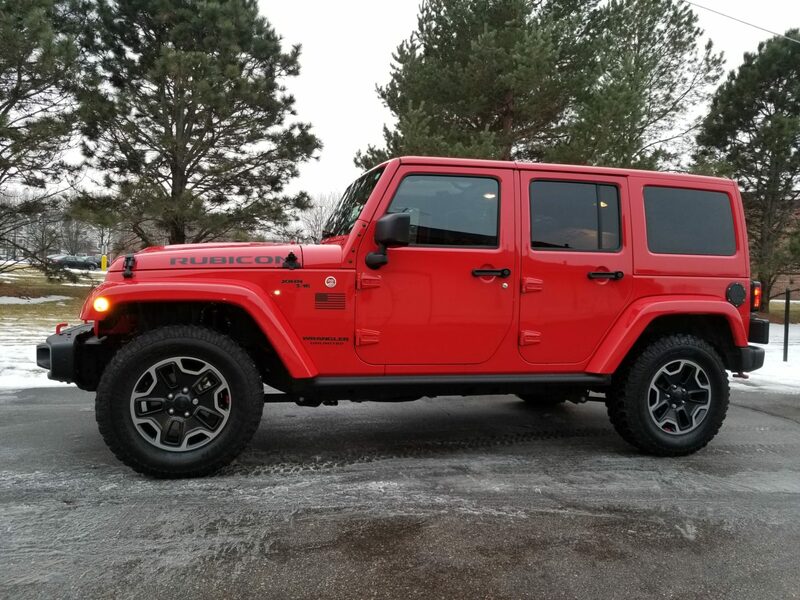 I’ll explore. 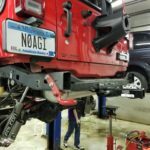 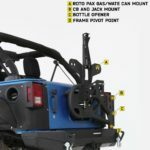 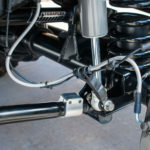 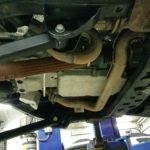 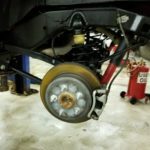 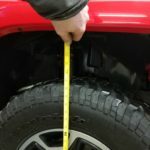 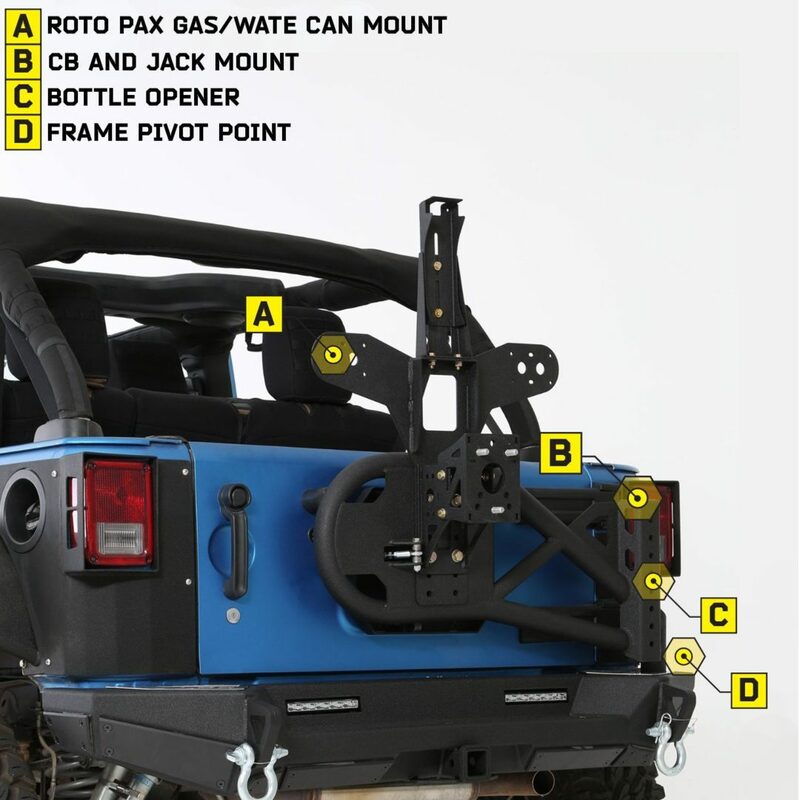 Another step to take care of – Undercoating the Jeep with rust-proofing material. 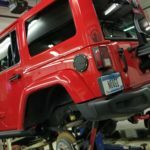 This is scheduled for next week at “P and L Auto” in Edina, MN.